Once you’ve decided to go for WordPress to build your website, the next question is always going to be ‘which theme do I use for my new website?’. And this question is rather confusing, isn’t it? 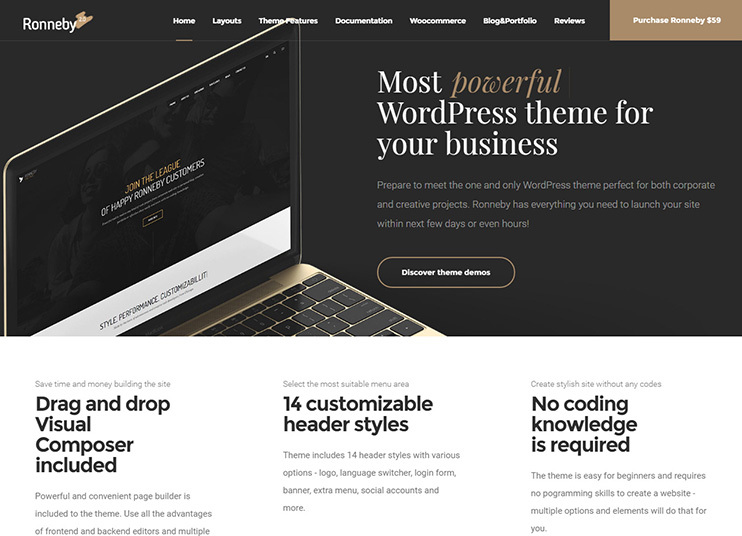 Because there are around tens of thousands of WordPress Multipurpose themes and site templates that you can use for creating your WordPress website. However, WordPress themes marketplaces like Themeforest can help you find the best WordPress theme. But the problem remains the same. “How to choose the best theme for your website?”. The time you spend on choosing the best theme can be instead be used for the strategic part of your website. Right? With more than 2,00,000 sales, Avada form Theme Fusion is the Bestselling WordPress Theme at Envato ThemeForest. Avada has an attractive look with a number of distinct features. The existing customers are in love with the theme and the number keeps growing every day. Avada is a multipurpose theme and does almost everything. It brings with itself, unlimited opportunities to shape your ideas into reality, with minimal efforts. With Avada, you can set your design goals and achieve them without actually even touching the code. There are about 18 demos for the theme, each presenting Avada with a unique idea. The demos are about photography, church, fashion, Cafe, and much more. These demos can be customized using the fusion builder tool. The options available at the back end are intuitive, simple and plenty. No code changes are required. Moreover, it is Woo Commerce compatible and allows integration of the most popular WordPress plugins available in the market. 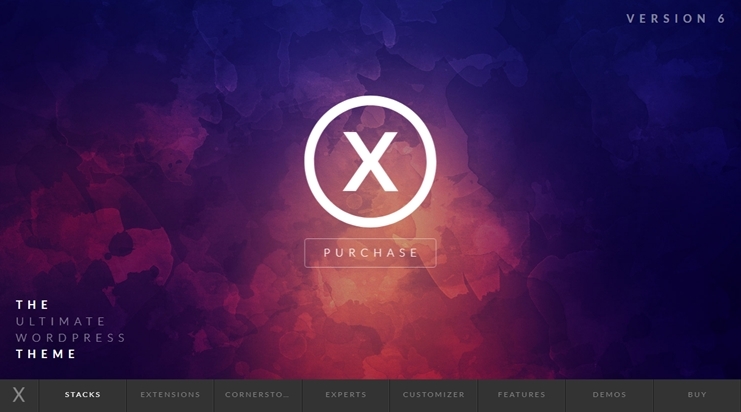 The X theme from THEMECO available at ThemeForest has sold more than 1,00,000 copies yet. This too is a multipurpose theme, using which you can create a website for your own concept, very easily. X offers multiple designs over its framework. These are the main features and called the “Stacks“. Currently, there are four stacks available. Integrity, Renew, Icon and Ethos. These stacks have a unique design of their own. It is highly customizable with available page templates, shortcodes, layout and navigation options to choose from. The main highlight of the theme is the Cornerstone front end page builder. Moreover, you can go with the Visual composer too. Talking about the coding and features, the theme has a clean code and is search engine optimized. 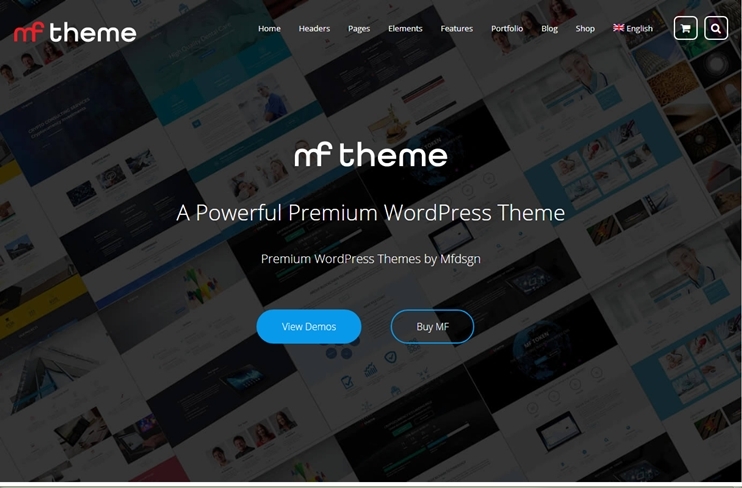 The theme is feature rich already and furthermore allows them to integrate over 20 free extensions from the Themeco and 3rd parties to extend the functionality of your website. It is translation ready as well as supports RTL. The7 claims to be the most customizable WordPress theme for 2018. The7 is a product of Dream Theme and is a responsive and multipurpose theme with features that make it possible to develop a website of any subject with the theme. The7 has 25 pre-built demo sites, the content of these demos can be inserted into your installation just by a click. The design of the website can be easily managed through the Design wizard of the theme. More than 630 setting options are provided with the theme so that you can change the theme as per your requirements. The7 theme is constructed following the strict SEO standards and code optimized for faster performance. 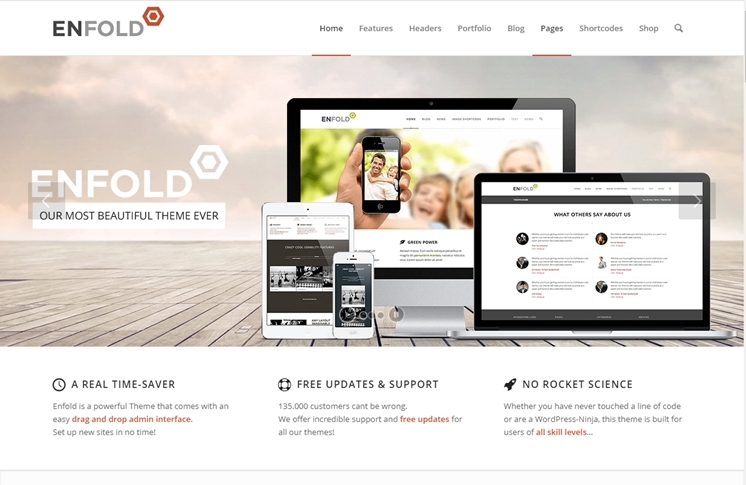 Enfold is another multipurpose theme with great features and extreme usability. The theme is said to have one of the best drag and drop editor to change the design of pages. The responsive theme is designed to let you develop a website that looks perfect on any device they are viewed on. There are a number of demos, each designed on a specific subject. The Layout builder with ample easy to use elements allows creating almost any design without messing with the code files. It comes with Integrated form builder and 31 PSD files. The backend options are intuitive so that even a beginner in WordPress can develop a professional and functional website using the Enfold. This theme provides compatibility with WP SuperCache, WooCommerce, WooCommerce Bookings, Events Calendar, WPML, Gravity forms, etc. The theme comes with 20 different language files and RTL support. 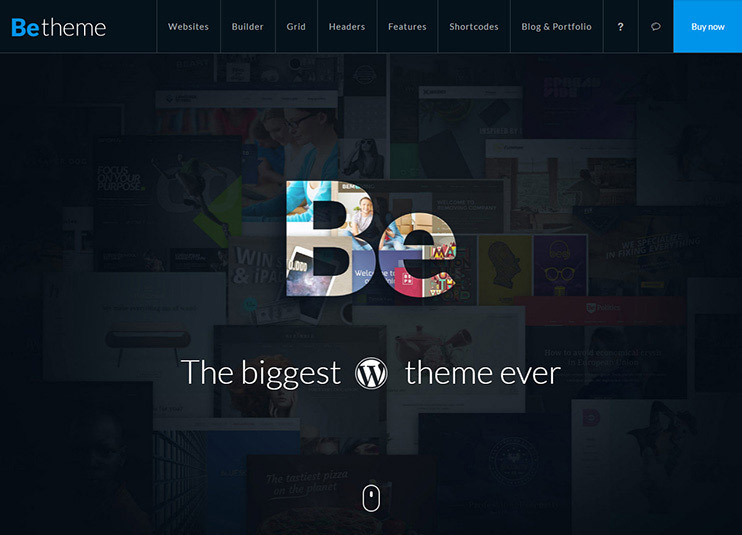 The Be theme is again a general purpose theme. The theme has more than 210 pre-built demos. With one click, you can install the demo and start editing the content to create your own site. This theme like the above two, bets, that to customize it, no coding skill will be required. With muffin builder, you can create a site from scratch with simple drag and drop. If you’ve already used visual composer and familiar with it, the theme allows integration of Visual composer too. The customization options available with the theme are simple, intuitive and do not require changes in the code. Besides these, there are numerous design options like custom fonts up-loader, Map styling, Maintenance mode, and blank page facilities, Custom CSS and Js, mega-menu, layout configuration, one-page template, etc. 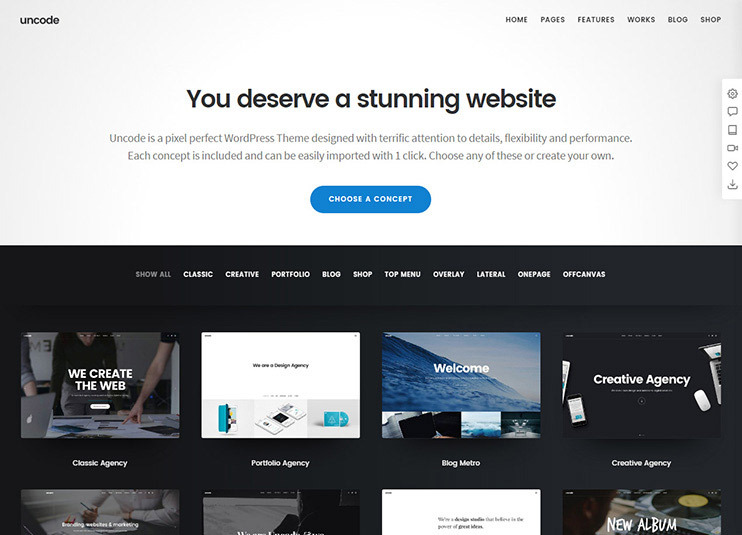 So, ultimately this theme has it all to encourage your creativity and help you create an elegant and professional website without ever having to touch the code. 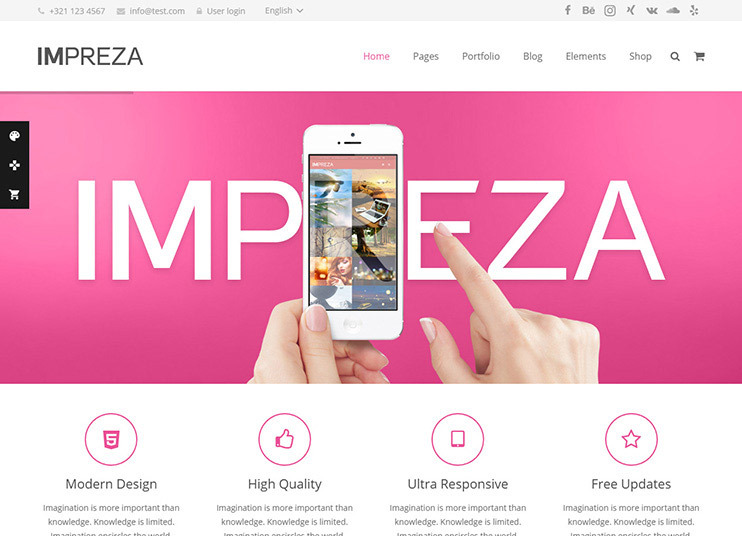 Impreza is a multipurpose theme and offers a few demos to get started. With 4.87 out of 5 stars, Up solution gained one of the highest buyer ratings for this theme on ThemeForest. Impressive about Impreza is that it comes with a Visual composer, Slider Revolution and Ultimate Add-ons for Visual Composer in-bundled. With the Visual Composer, Editing the look of the theme is just as easy as drag and drop. The simple and stylish design of the theme can be hence easily adjusted the way you desire. Other plus points for these themes are the 1300+ icons, easy to implement Header options and a very intuitive and powerful admin panel that hands all the control of tweaking the theme to the Admin. Impreza supports child themes and the animation and visual effects make the theme a complete treat to the eye. The theme is tested to support the WooCommerce, WPML, Gravity Forms, Contact form 7, bbPress and TablePress. The Bridge is an all-purpose theme, to let you create everything you can imagine. The theme has 156+ fully equipped demos. The demo data can be loaded into your site so that you get something to start with. 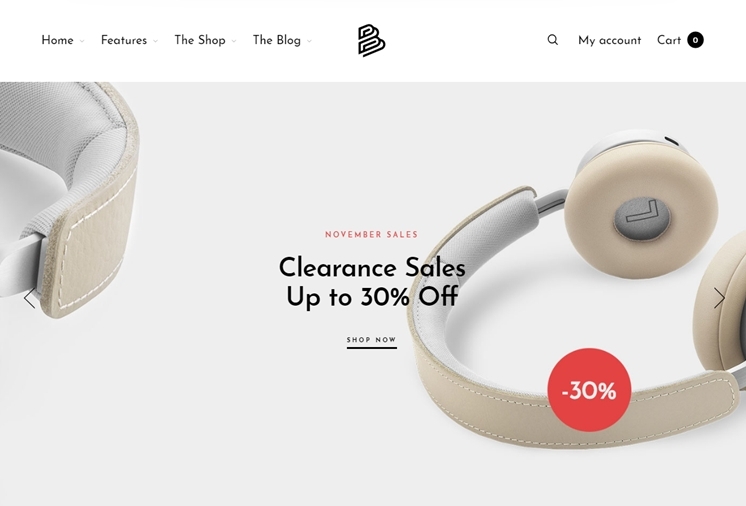 The bridge theme is fully compatible with WooCommerce. It lets you set up a very elegant online shop in minutes. Choose from beautiful portfolio options to showcase your work. 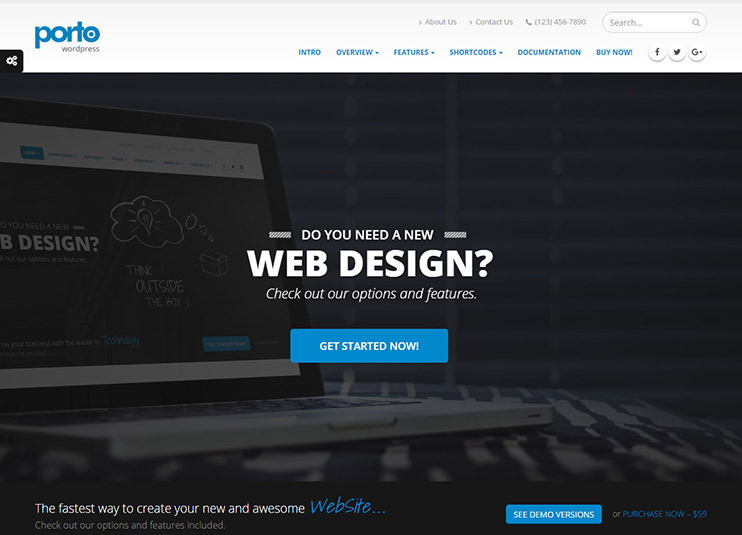 The theme offers lots of tools and choices for styling your website. Choose from among 18 header styles, 24 unique layout options and easily integrate the most popular WordPress plugins. It is very likely that you will find your concept from within the 156+ demos to get started with. Besides this, the theme is child theme ready, translation ready, multilanguage and RTL support, and visual composer support. 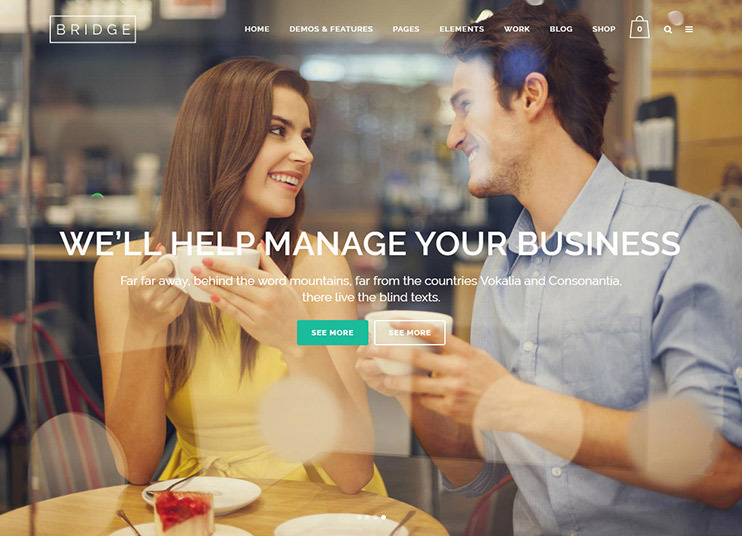 Villagio is one of the best WordPress themes for business owners in the hospitality and lodging industry. It allows you to build a fully-functional WordPress website for a villa, guest house, cabin, hotel, apartment, B&B enterprise and the like. It’s equipped with a set of tools that allow to create a professional directory of rentals and optionally enable direct bookings. The theme is powered by a dedicated WordPress booking system for rental property (a premium MotoPress Hotel Booking plugin included for free). This system is responsible for a lot of features: automatic inventory control, seasonal pricing and rates, a user-friendly property management system, automatic synchronization with OTAs like Airbnb via iCal, personalized and automatic discount coupons based on the length of stay, built-in popular payment gateways, ability to sell extra packages and services and many more features for rental property hosts. 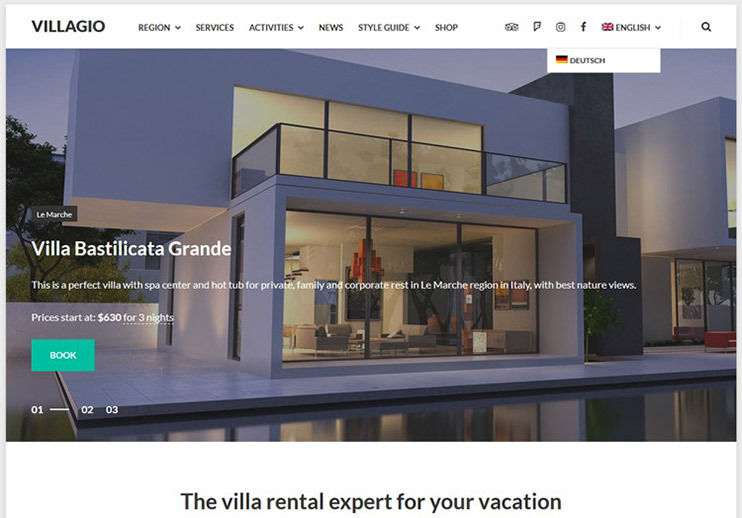 Villagio is not overwhelmed with excessive features allowing you to possess a professional, fast-loading and completely lodging business dedicated website. At ThemeForest, this is #1 selling e-commerce theme out of all the woocommerce themes. And for the right reason. 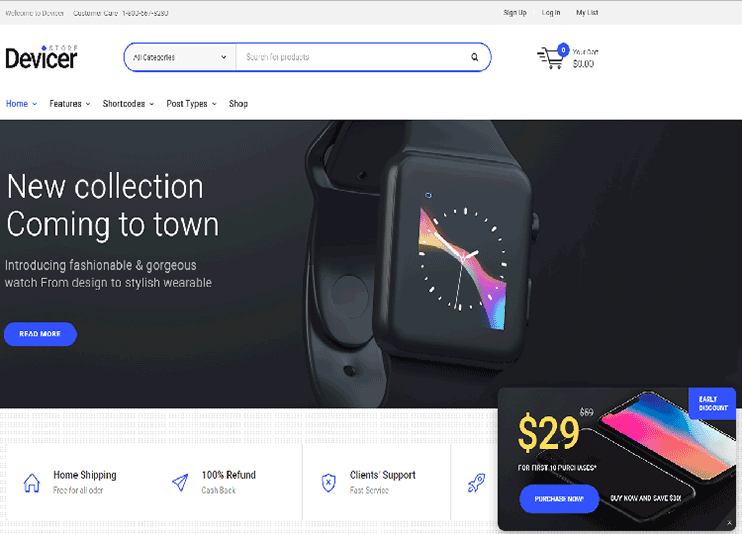 If you are looking for a WooCommerce compatible theme with elegant looks, and easy to use back-end, here’s the one for you. 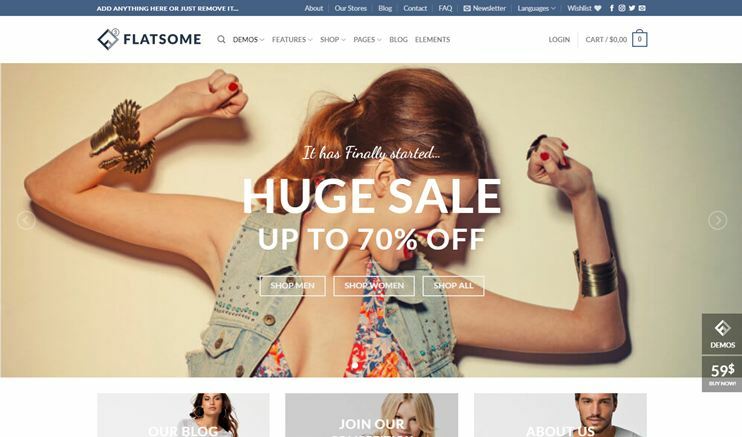 Flatsome from UX- Themes is an amazing theme that lets you create an online shop very conveniently in 2018. Once you purchase the Flatsome theme, you get lifetime free updates. The theme is highly responsive ensuring that it is possible for your site to be available to everyone, everywhere. The theme integrates the WooCommerce plugin for the sales related functionality. Everything is made easier with the drag and drop page builder. Choose from various available options to set how the various elements in your shop look. The theme is translation-ready as well as child theme ready and is compatible with WPML for multilanguage translation too. 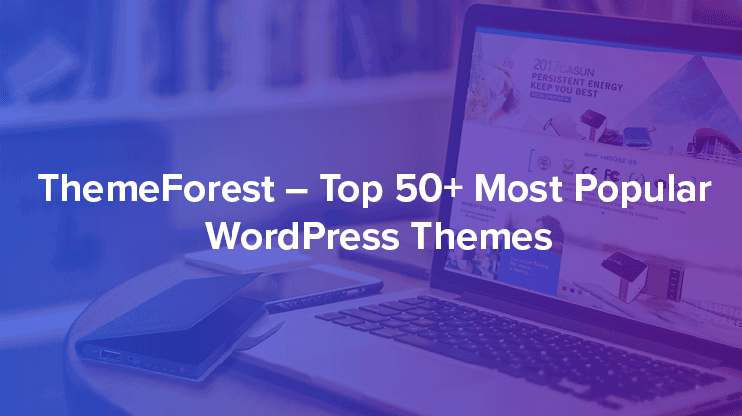 Newspaper theme at theme forest, as the name suggests is the ultimate and one of the most popular news-blog themes for WordPress. 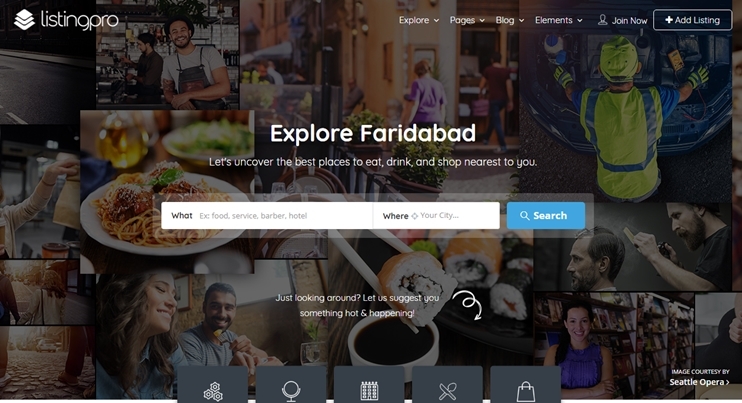 The latest version of the theme is 7th and features an eye-catching design. 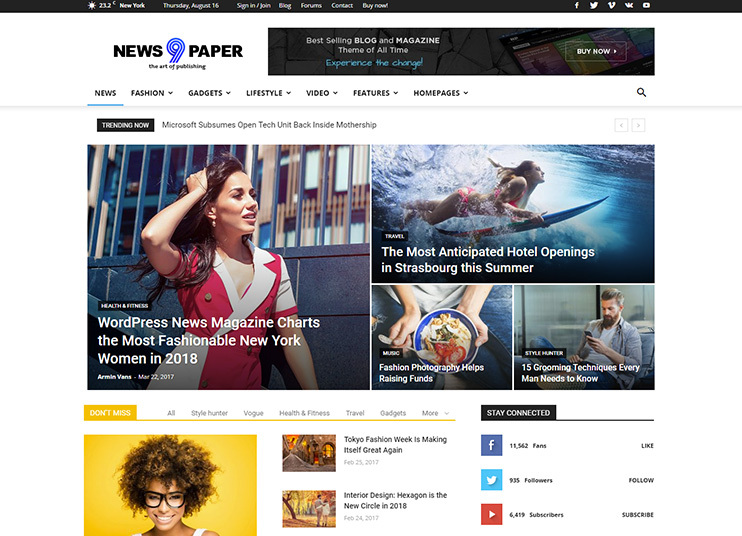 The theme is exclusively designed for creating a news website, start a blog, an online magazine, publishing or a review website. Newspaper is SEO friendly and ensures that everything can be managed with easy options, without needing to change the code. The Newspaper theme allows choosing from 20 representational demos. For a publishing website, what can be more important than the stories? So the theme offers 14 different post templates so that you can choose the one that can present the news story in the best possible way. The theme also has Video auto-play facilities, custom widgets, custom drag and drop gallery, visual composer, and Woo-commerce support. Jupiter is a multipurpose, Responsive and lightweight WordPress theme for 2018. 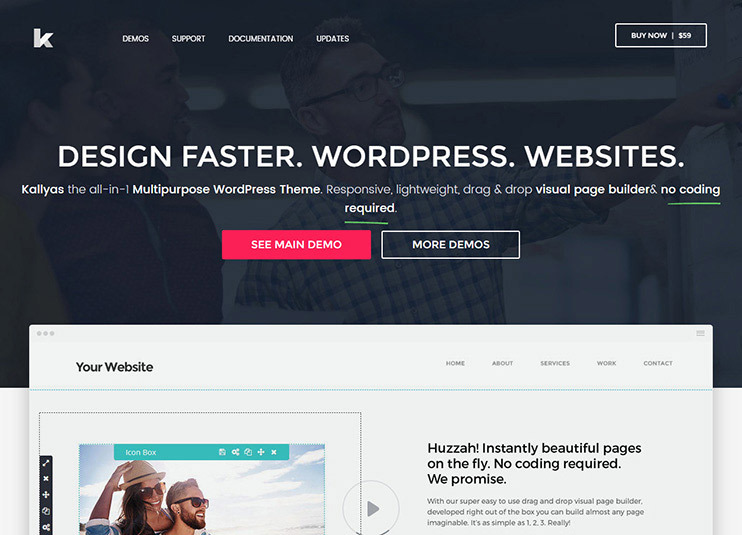 It claims to be the Fastest as well as the lightest WordPress theme. The theme is designed to give high performance, consistent and clear performance in devices with different resolutions. It has more than 72 demos, that can be used as a starting point. Jupiter comes with its drag and drops customizer that allows the user to create or change the design with their own ideas. The theme offers 100+ elements and 230+ styles to choose from. If you want to use the Visual composer instead, that too is possible with the Visual composer compatible theme. Tough the theme extremely features rich already, there are free add-ons available that can be integrated into the website to extend the functionality. Jupiter theme is Translation ready, supports RTL, WPML compatible for multi-language translation, Typekit integration. Being WooCommerce compatible, the website can start selling products within minutes. The Uncode theme from undsgn is yet another responsive and multipurpose theme available at ThemeForest. The theme has 30+ demos built using unique concepts. This demo-data can be inserted into the theme and used as a starting point for customizing. Uncode, too comes with a tailored Visual composer, making it possible to design the website you have in your imagination very easily. The theme is a top-seller and making more customers every day. The images are adaptive to the resolution of the device. It also offers to choose from the available Page templates for portfolios and blogs. The theme is WPML and RTL compatible. Besides these are innumerable icons and font styles to choose from. 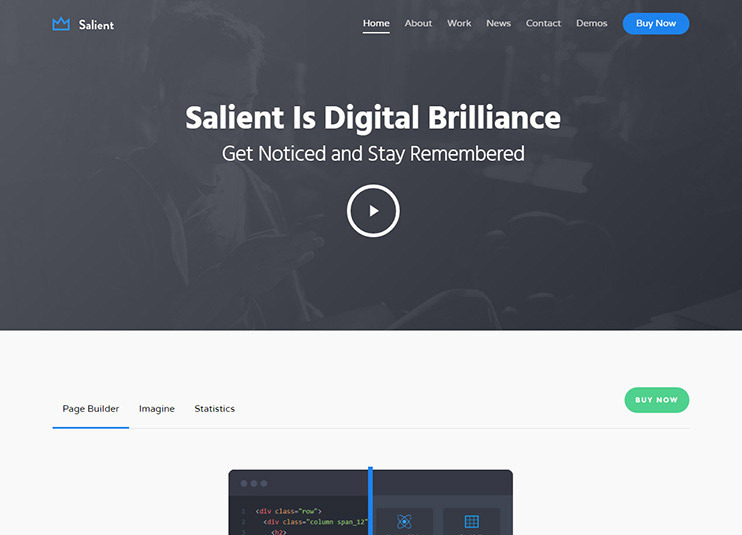 Salient, a multipurpose theme from ThemeNectar. The theme is highly responsive and comes with an inbuilt visual composer. Salient does not come with 100+ demos or a number of post layouts, but whatever it has to offer is enough for building an eye-pleasing, and functional website with utmost ease. The inbuilt visual composer allows setting the layout, just the way you want. Anything you can imagine can be created using the drag and drop builder. Apart from this, the theme is translation ready, Seo optimized, WooCommerce ready, Child theme ready, Shortcode generator, Infinite scroll and distinctive theme options to customize and create a wonderful website. At ThemeForest, Massive Dynamic from PixFlow has 40+ premade demos to choose from. These demos can be imported with just 3 clicks to start with. The theme comes with a live preview section where you can see the changes in real-time. With the purchase of the theme, you can have free updates forever. Like the other themes in the list, this theme can also be used by non-techies to build a website of their own. Because the theme has almost every option to change the design and set up the functions. Coding knowledge is not required at all. The Visual editor aids to change the look and readjust the elements with clicks, drag and drops. And the powerful shortcodes available can be used to enhance the theme functionality. The Massive Dynamic theme is WooCommerce compatible and allows to convert the website into a full-fledged online shop. MF Multipurpose WordPress theme comes with multiple homepage layouts and dynamic design to build beautiful websites. The MF WordPress theme is compatible with WPML, WooCommerce, and other premium add-ons. With the available backend options, you can easily customize your site as per your needs. This WordPress theme is SEO optimized, responsive and cross-browser compatible. This popular WP theme features more than 2500+ Google fonts and 12 blog layouts so you can choose according to your requirements. 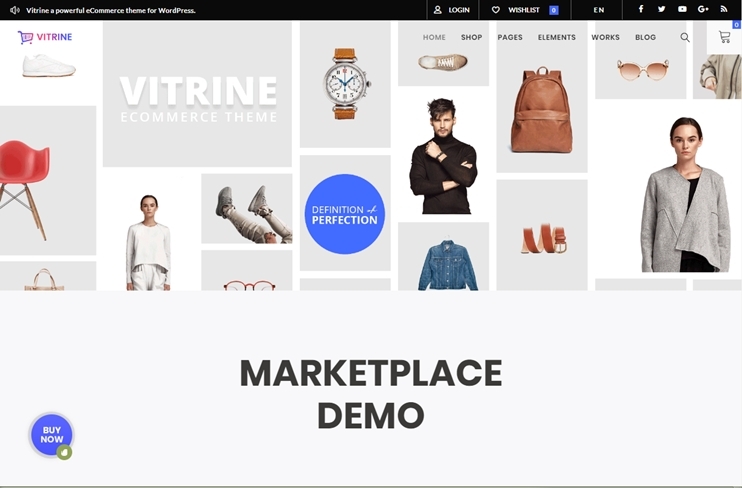 Vitrine is a WooCommerce WordPress theme to create a multipurpose online eCommerce website. Choose from the multiple homepage layouts or use the Visual Composer drag and drop page builder to design page of your choice. The Vitrine theme is SEO optimized and beautifully responsive. With this WooCommerce compatible theme, you can create an online store with best features in just minutes. This popular WP theme features more than 2500+ Google fonts and 12 blog layouts so you can choose according to your requirements. REhub is a multipurpose WordPress theme for created a money making website. This WordPress theme comes with different features like affiliate marketing, comparison features, social community features, directory, deals, magazine, etc. The theme also supports membership features. The theme also supports creating a multi-vendor shop. Rehub is elegantly responsive and one of its kind. If you want to create a website that earns for you while you take care of your other businesses, ReHub can be the best bet for you. With high-end features of many niches, this theme is also optimized for speed and is SEO friendly. 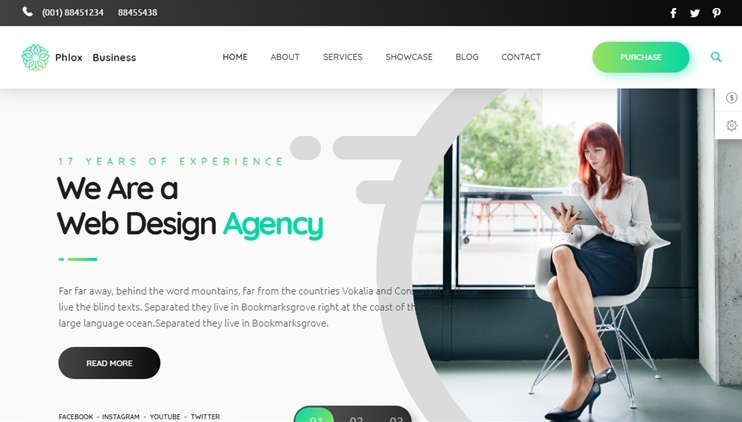 Phlox Pro is a Gutenberg ready WordPress theme that you can use to create beautiful websites on WordPress. The theme comes with several beautiful demos to choose from. This multipurpose WordPress theme supports Elementor Page builder for quick and easy page building through your site. Or you can even use the WP Bakery page builder if you want. There are 80 pre-designed pages to give you a headstart. 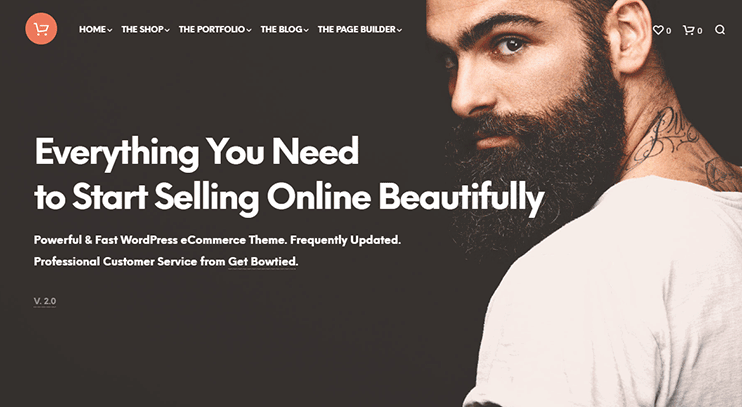 Use this theme for blog, portfolio, eCommerce, or news magazine. Phlox pro is WPML, multilanguage and RTL ready. This is a WordPress directory theme with Video banner support. The theme comes with modern features, with advanced search and filter options. This directory theme is very easy to setup and use. You can have more lead generation through ad campaigns through this Google AdSense ready theme. There are features for listing claim and verify features, save and bookmark. Besides you can use this theme for events, deals, coupons. It also has menus for a restaurant directory. 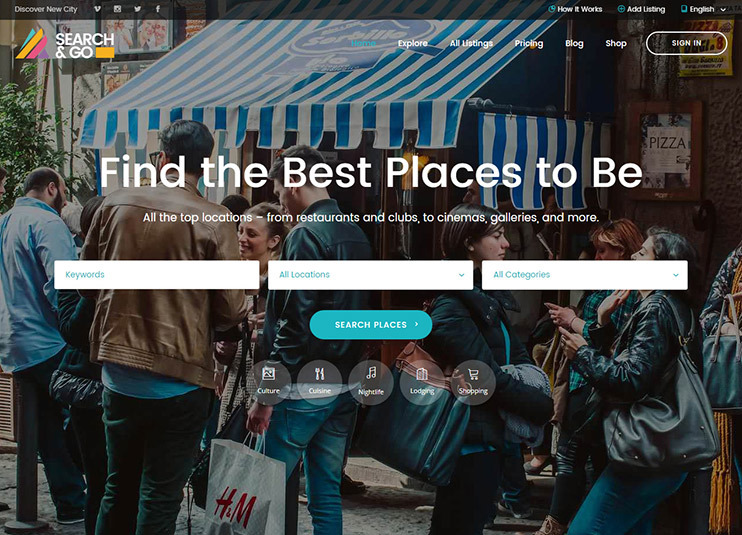 With this directory theme for location-based features, you can create an SEO friendly WordPress directory of your choice effortlessly. The theme also supports Social Login. 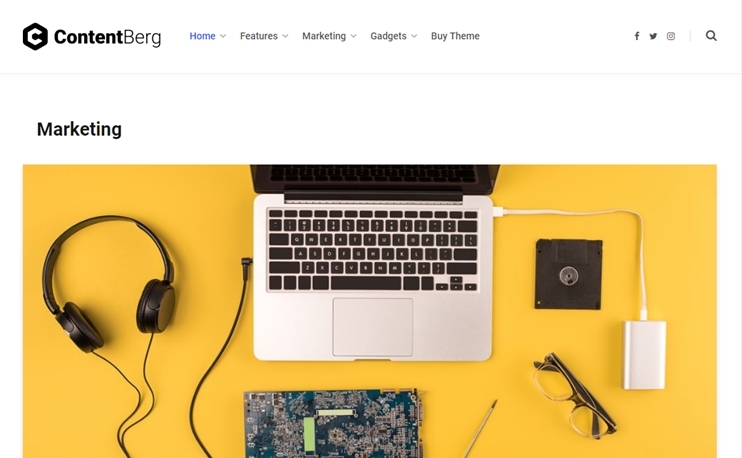 This theme is for all the WordPress bloggers out there who want to create beautiful content using the Gutenberg editor. The theme is simple yet elegant and packed with features for a proper blog or a news magazine website. For a distraction-free reading experience, the theme design is minimal. You can construct your pages with easy peasy drag and drop page builders, the inbuilt one or the WP Bakery page builder. Promote your blogs easily with the social media readiness of this theme. Also read: New Gutenberg Editor for WordPress: Is it Good or Bad? 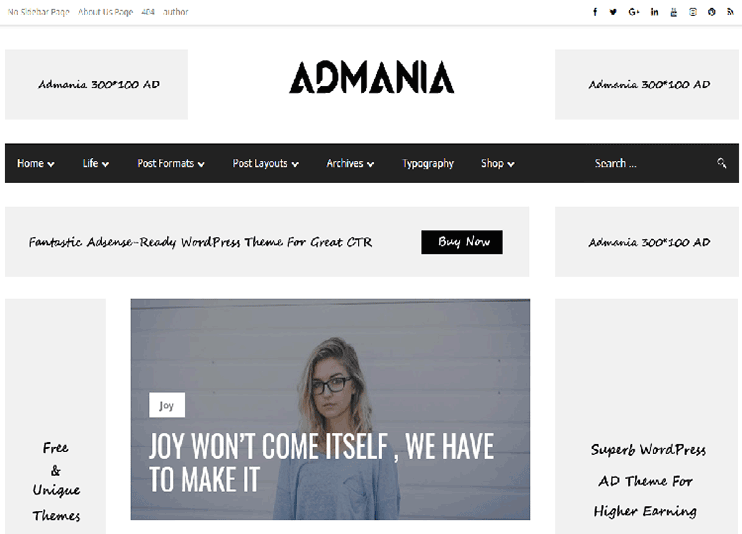 Admania, is a WordPress theme for Adsense and affiliate users. It is an ad optimized theme that you can use to create a website with all the ad monetization features. This theme is for AdSense users and affiliate marketers who are trying to earn extra income through advertisements. The theme comes with multiple layouts and speed optimization features. You can choose from multiple demos, homepage layouts. Besides, by using the abundant customization options, you can easily customize the site as per your needs. This responsive WordPress theme is WooCommerce ready. Look, is a theme for fashion and beauty lovers to create a relevant blog and news websites. The theme comes with various pre-designed demos and page layouts you can choose from. 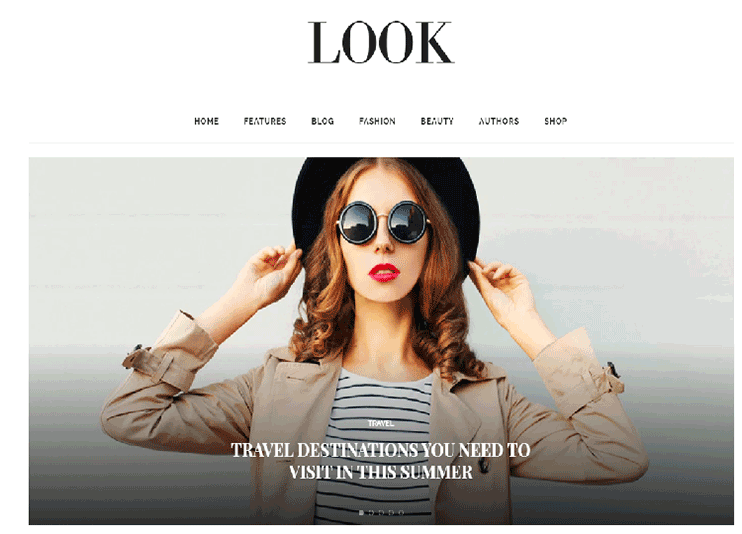 The Look fashion and beauty WordPress theme is compatible with WooCommerce for eCommerce features. It is responsive and can be used as fashion blogging template, online fashion magazine template, etc. 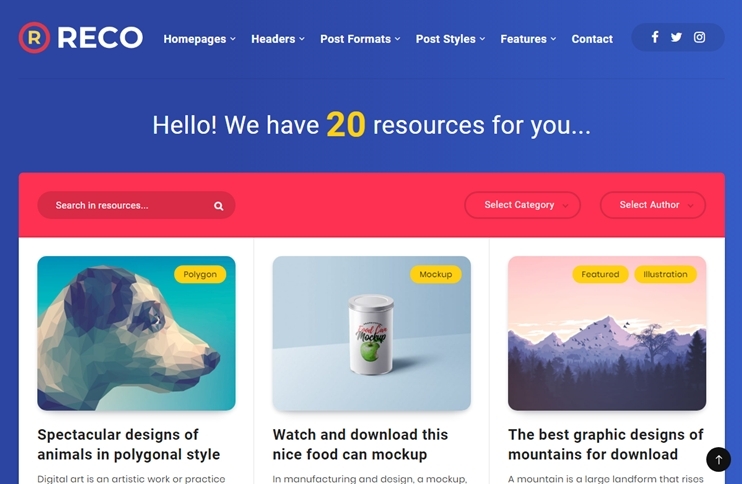 The Listop WordPress theme is an amazing Listing Directory WordPress theme with multiple layouts and unique demo designs that you can choose from. Listop comes with amazing features that include one-click install, responsive layout, advance page builder like Visual Composer and Google Map display, etc. The theme includes many custom features like changing the colors and customizing the site as per your requirements and advanced search filter. Listop is performance and speed optimized. Devicer, is a theme for digital store and manufacturers. This WordPress theme can also be used to sell your tech-based products online on your site. You can integrate the WooCommerce plugin for online sales management features on your website. 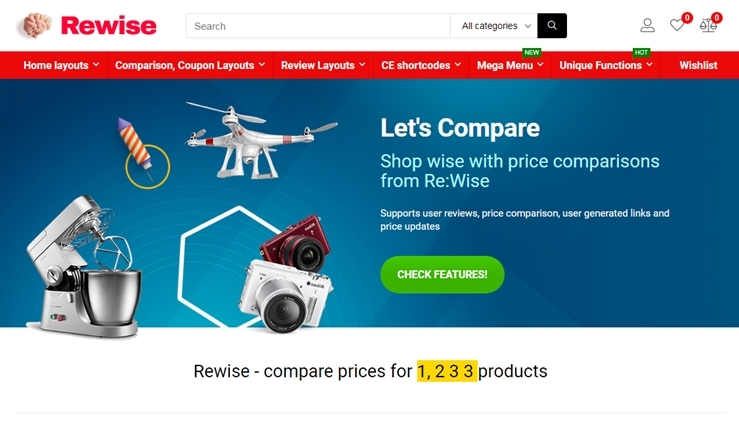 With WooCommerce plugin activated you get all the features that are included within this plugin multiple product variations and exquisite animations like zoom effect and product compare that you can show on your product detail pages. Listify is from the home of Astoundify. Listify is the WordPress Directory theme that will let you create a beautiful Directory website in 2018. What sets Listify apart from other themes is its eye-pleasing design with the required functionality. The theme is very flexible and provides compatibility with a number of useful plugins that can be integrated to extend the functionality of the theme. Listify is a theme you can make money with your website. With features to add or view a listing, claim a listing, reservation and booking facilities, etc. The theme has a very long list of compatible plugins, you could use the one that fits your purpose and develops a website that earns for you. The theme is SEO optimized, and with very easy options, lets you make a website of your own choice. PS: Also check out this directory software platform to create your listing based directory website. 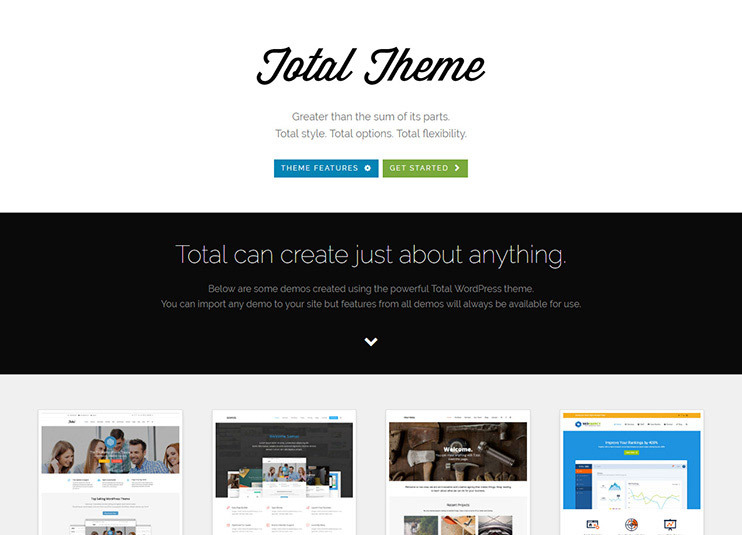 Total theme is the ultimate responsive multipurpose theme from WPExplorer that lets you set up a website with drag and drop options. The theme has 80+ block builders to organize the content and 100+ options for styling the content. Use the unlimited combinations to create a website of your imagination. Total lets you select everything of your own choice, select the header style, the background color, the icons, colors, layouts, and everything. With Total, there are limitless opportunities to change the theme and make it look and work like your expectations. The total has the clean code, so for the enthusiastic developers, the sky is the limit. Apart from the built-in options, the code can be tweaked to implement innovative ideas you may have. The KALLYAS theme from Hogash studio takes flexibility to the next level with its feature to adjust even spacing among the elements, for different devices. KALLYAS has more than 100 built-in elements to choose from. You can imagine a feature, search through the elements using the search panel find it and use it to realize your imagination. Everything can be controlled using the drag and drop editor. KALLYAS lets you save the page so that you can reuse it again when required so. Ultimately, you can build a perfect website using the visual builder, without changing a line of code by yourself. Besides this, the theme takes care of the performance too, so that the visitors’ experience does not suffer and the performance is efficient. KALLYAS is multilanguage ready and SEO friendly. It supports WooCommerce and has many other features that make it worth a buy. Labrator brings to us the creative Kalium theme, very easy to install and use. The theme is a multipurpose and responsive and dynamic with special hover effects and Typekit font support to make it look more awesome. Visual composer included Extreme customizations can be made into the theme to make it work the way you want. The theme is WooCommerce ready and has an Ajax mini cart to make the cart facility more interesting. No matter what subject you want to build a site on, Kalium makes it possible. For an e-commerce website, it supports WooCommerce. 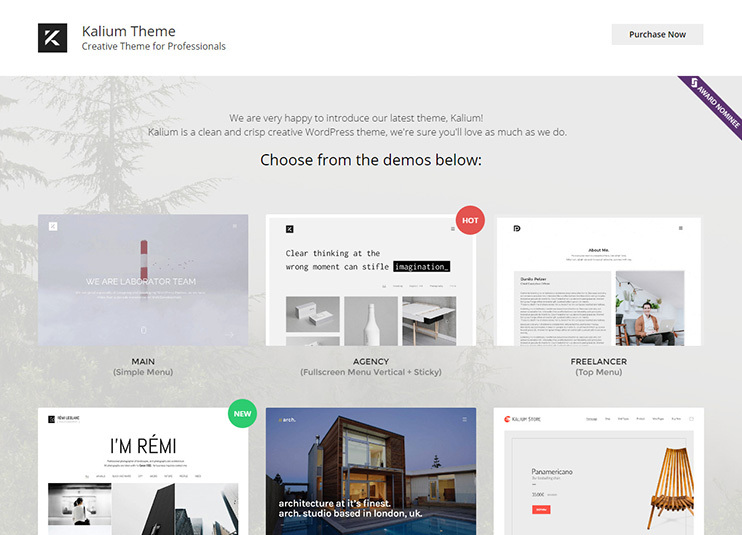 For showcasing your work, it offers numerous portfolio layouts, and if you don’t find them relevant, Kalium has the drag and drop builder too that makes it possible for you to create a layout of your own. The theme has pre-built coming soon and Maintenance mode. Besides all these, there are other interesting features in this theme too that makes it the #1 creative theme. Stockholm from select themes is a distinctively multipurpose theme for 2018 that has made its place in the Top 30 best selling themes of all time. Stockholm has more than 40 demos to choose from. These demos can be imported with just a click. With the demo data, you can have a really nice starting point. 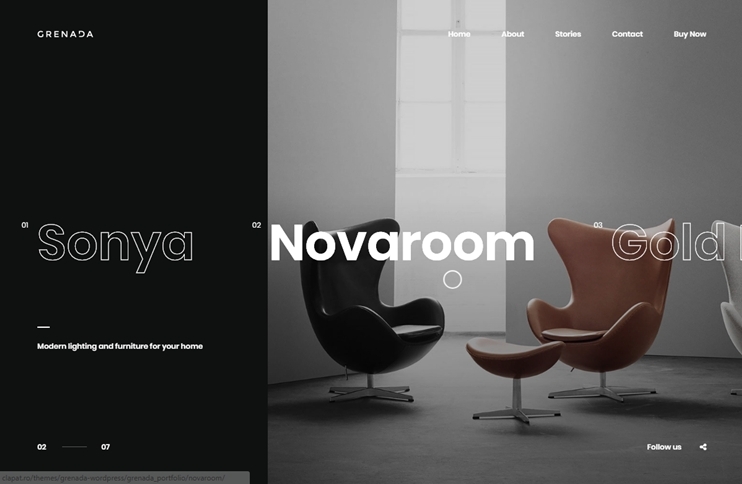 Stockholm claims to be a genuinely multipurpose theme on the basis that it has paid attention to every aspect of a website. 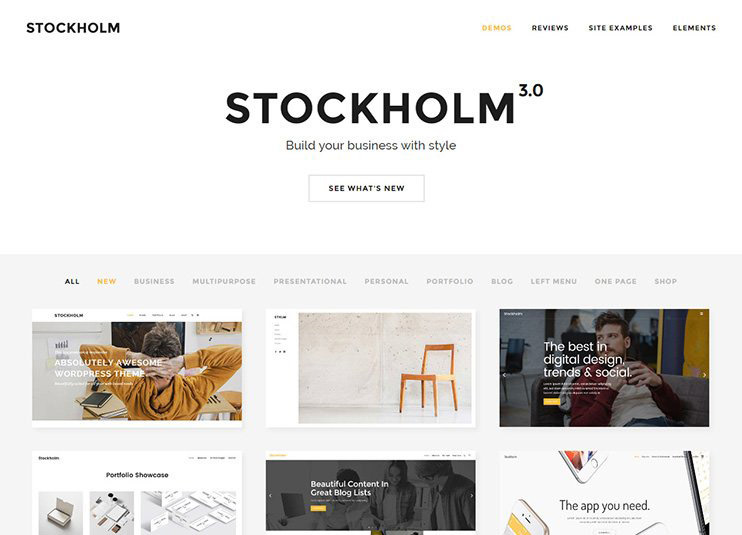 Even if the website you want to create is a simple blog site, Stockholm allows you to choose from eight available blog templates. The themes have wonderful ways to display your work to the site audience. Stockholm comes with 30+ shortcodes to get the features working. Along with all these amazing features, the theme offers flexibility to integrate plugins like WooCommerce to set an online shop, WPML for multi-language translations, child theme ready interface and is fully SEO optimized. 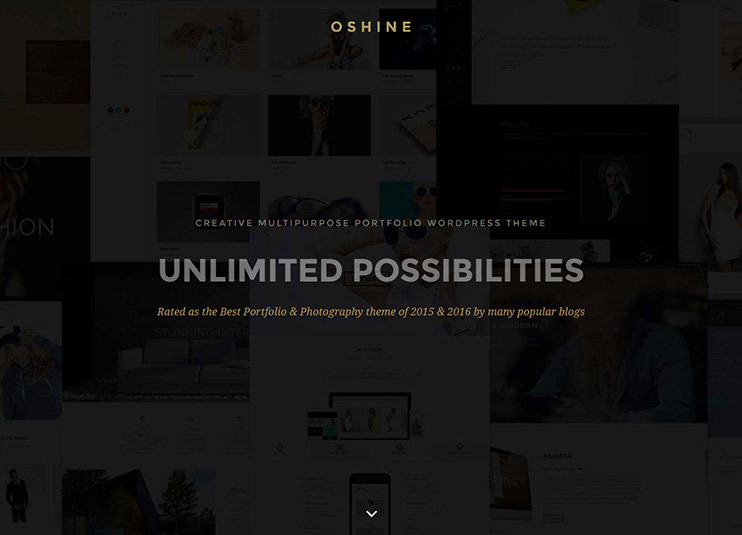 Oshine is marked as one of the best photography and portfolio based themes from the Brand Exponents. The theme offers 23 unique demos with astounding designs to choose from. Oshine can be used to create a website of almost any kind. The inbuilt features and powerful admin control panel of the theme allow to create and compose a website you can imagine. Oshine also gives you the power to style your content with more than 50 shortcode modules. The providers keep on improving and providing the updates regularly. Create your own version of the design and demonstrate your creativity by using the visual page builder. The theme aims to attract the attention of users with what they call the Hero sections – the slider areas. Oshine is WooCommerce compatible as well as supports multiple languages using the WPML plugin. The DF Development offers Ronneby with 40+ demos. The demo content can be installed with a click and you have a perfect running site that can be edited to place your own content. Ronneby has an ultimate admin panel that allows managing all the content and functions very easily. Attention has been paid to see that the back-end does not create confusion for the user. Ronneby can integrate WooCommerce for a shopping website. The blogs, the portfolio, everything can be chosen from the available options and if the options don’t seem enough, create something new with the power options available. Talking of options, not to forget that the theme has 40+ shortcodes too. Compatibility of Ronneby with the visual composer and the add-ons make this theme a bliss. The theme is translation ready and is already translated into two languages. The theme can, therefore, be used to create, Actually anything!! 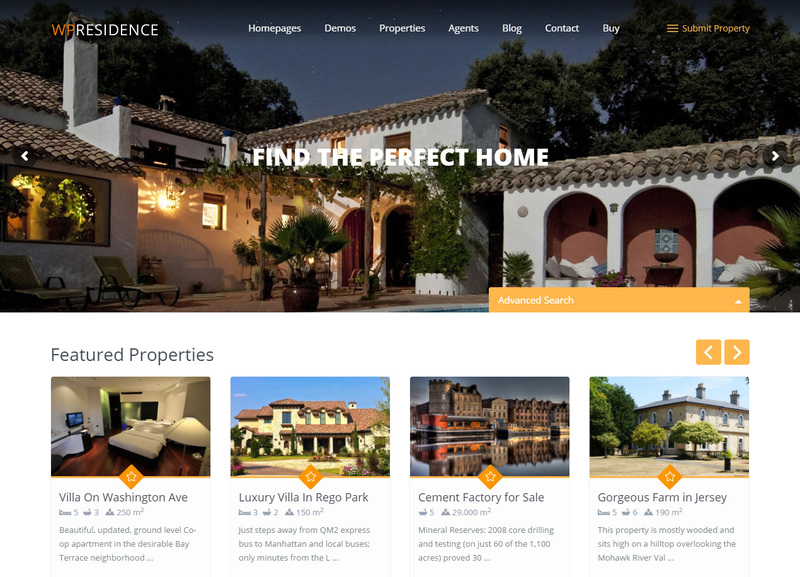 WP residence theme is one of the best real estate themes on Themeforest. It comes with a Drag and drop page builder to build the page layouts and manage the content of the website. The Admin panel available with the theme is so resourceful that it allows the visitors to control each and every element of the page and set it the way you want. WP residence theme has the facility that allows to add floor plans into the website. The Short codes lets you manage the theme further. You can select from the box and full-width layout. The theme lets you choose the colors and headers. It is translation ready and WPML compatible. The theme is fully responsive and has a consistent view in all the devices. Besides these, are various options to earn money through the website. 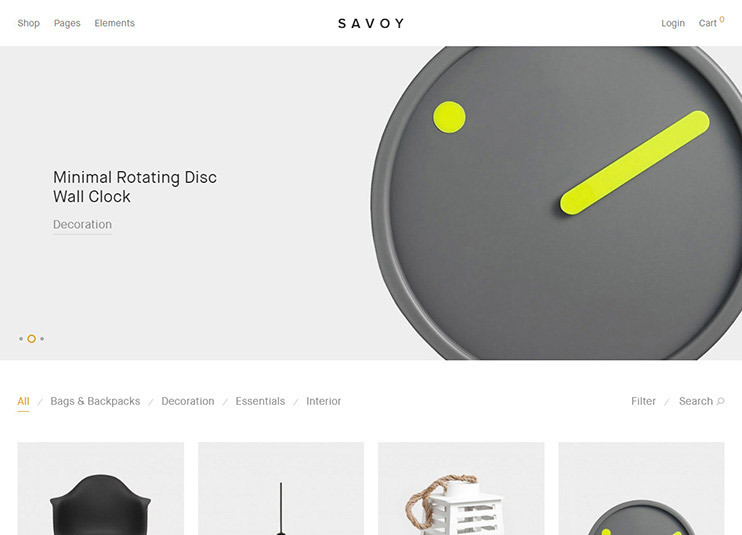 Savoy is a ajax based WooCommerce theme, with morden and eyecatching design. The theme is totally widgetized and the homepage is very easy to manage. The theme is designed and the modules are configured to work in a way that the website performs fast. SEO optimized theme helps achieve better rank from the search engines. The theme is highly responsive and renders the same view on any device it is viewed on. The product description is presented in such a way that the user understands everything. The theme is highly customizable. The options available in the backend are simple and intuitive and lets the user make it possible to change the look and feel of the theme to make a website of their desire. Once you buy the theme, you can have free lifetime updates. Moreover, the theme is compatible with WooCommerce, WPML, translation ready and comes with Typekit integration. 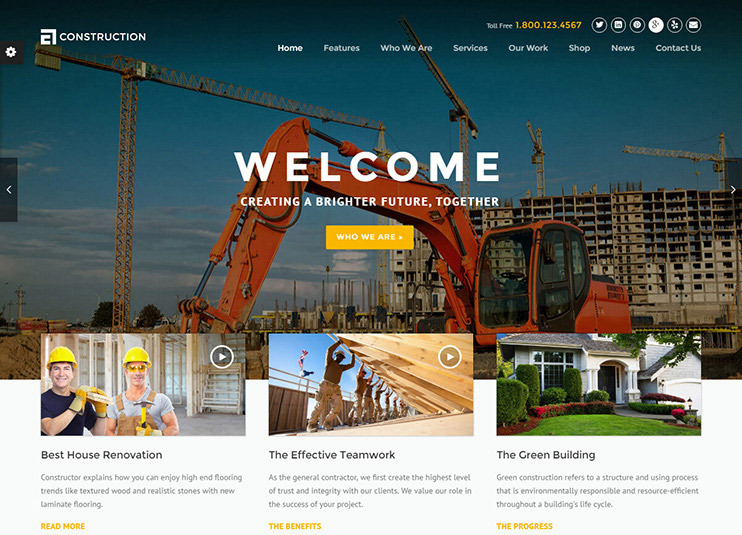 Construction is a theme from WPCharming that is specifically designed for the construction and building projects companies. It is a simple and beautiful business theme that comes with all the basic necessities inbuilt to start a perfect construction website. The Construction theme comes with a free page builder that allows the admin to manage the website with drag and drop options. The advanced theme options allows changing the appearance and functionalities of the theme with easy and intuitive options. For your website from the construction theme, you can choose from available header options and the homepage designs. Construction is SEO optimized and ready for translation. For offering your construction website in multiple languages, you can use the WPML plugin that is compatible with the theme.The theme is a perfect choice for you, if you are looking for a simple, un-complicated and lightweight theme for your business website. 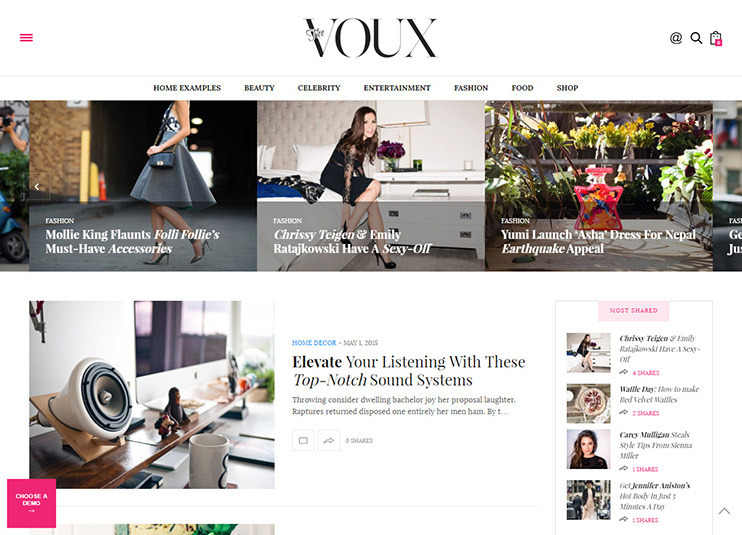 The Voux theme is an incredibly stylish theme for the magazine websites. The theme is very lightweight and has a fast performance. This theme is for you if you are looking for a sleek, stylish and a magazine theme that is very efficient at the performance. Especially for a magazine website, the users won’t like to wait for till the page loads. Therefore, special efforts have been made to keep this theme lightweight and enhance the performance. The theme is extremely Customizable making it possible for the website owner to make all the changes he wishes to. The design, the functionality and the layouts can be easily managed from the admin panel. With choices in headers and menu styles, set your magazine website to attract your targeted audience. The theme supports WooCommerce and this makes it possible to sell on your magazine websites. The Voux theme is compatible with the WPML and Visual composer too. The thing that makes this theme interesting is its simplicity. Being specifically designed to suit the consulting and business websites, the theme has demos with differently organized blocks and modules to choose from. The professional look of the theme can be very easily managed and controlled using the powerful backend options available. It supports the Visual composer plugin so that everything can be controlled with a drag and drop. A finance website needs representational tools like Pie Charts, Graphs, Progress bars, tables, etc. 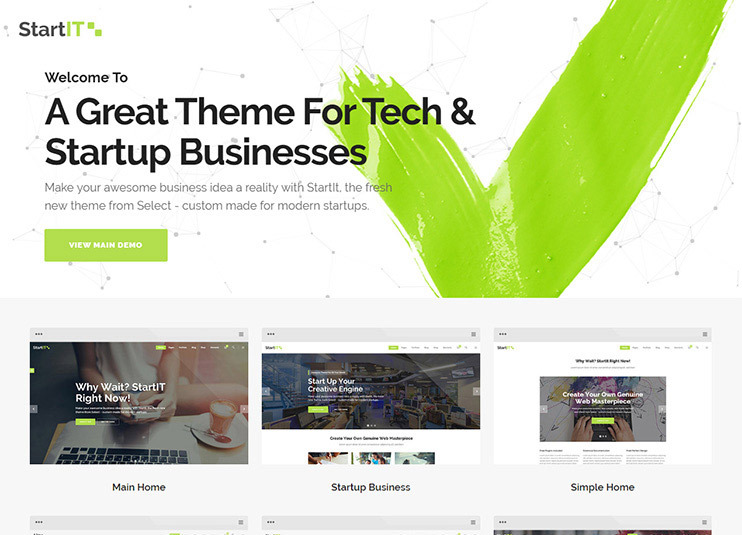 The theme lets you easily use them to express the various business situations. If you want to create a business website without employing professional IT personals to develop and maintain the website, this theme is for you. On the theme and manage everything on your site on your own. Take help from the support personals, Should you find anything difficult. The theme is SEO friendly and has simple, easy options that will let you create a professional and maintainable business website on your own. The highlight of the Heli theme is the live customizer that will save you from the wait times every time you make the changes and try to see the effect. The Heli theme is a multipurpose theme that allows you to customize and use the theme for whatever purpose you have in your mind. Special care has been taken to make the theme work in a way that reduces the loading time and execution speed. Heli is easy to use and comes with free lifetime updates. The customizer hands you the power to make vigilant changes in the theme structure and functions. The theme bundles some of the powerful paid plugins of the WordPress world to support the themes functionalities and saves you money. Heli is responsive, supports WPML multi-language translations, is WooCommerce compatible and comes with an extensive customizer to make the theme look and work the way you want. Porto allows the admin to choose from the dark or light version of theme, wide or boxed version, with just one click. When it comes to the flexibility of managing the appearance of the theme, Porto has unlimited options and combinations to choose from. A range of headers, homepage layouts, and layout variation options make it easy to change the vision of the website based on the content. Porto has the Visual Composer and the Master Slider plugin inbuilt. With the Visual Composer, editing the content of your theme is just a matter of drag and drop. The theme is developed on the powerful bootstrap base. Quick view facility of the theme allows a fantastic preview of the products included in the catalog. Porto offers you to choose from the CSS3 animations to apply to the content element of your website. This theme too is WooCommerce compatible, SEO friendly and highly responsive. The performance of the theme too is impressive. 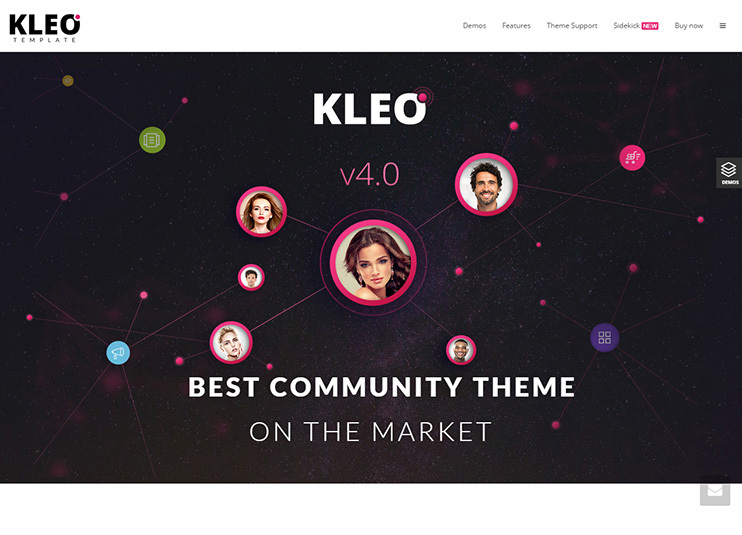 KLEO is said to be the #1 BuddyPress theme for 2018. 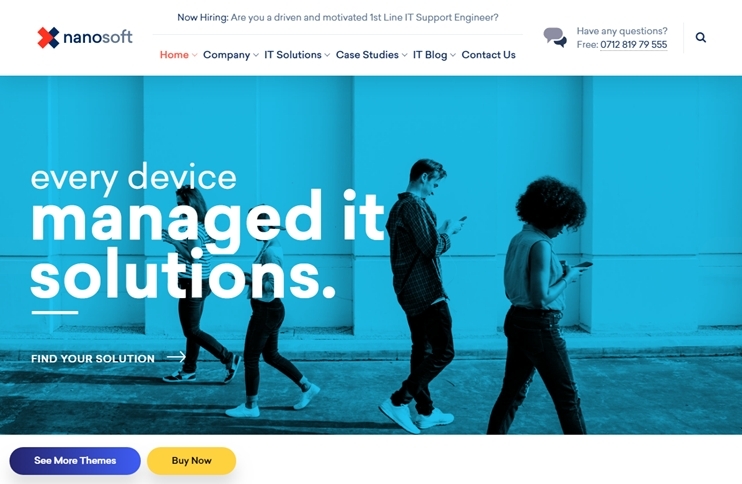 The theme has extremely modern and eye-pleasing looks and comes with a number of page demos that can be inserted with a single click. KLEO suits any kind of business requirements and can be used to create almost any sort of website. The theme has an extremely powerful admin control panel which just not empowers the admin to create wonders with it but is also very intuitive and easy to use. The challenge of designing is further eased by the drag and drop frontend page builder. The theme being associated with socializing concepts offers facebook login, Live notifications, and Buddy press profile and group covers. Being BuddyPress theme, it allows the BuddyPress shortcodes to be used within the site. Integrating Sensei and K-elements is possible too. The theme is WooCommerce and RTL compatible. The theme offers endless opportunity for creating a fast, efficient, beautiful and multi-functional website with ease and support from the developers. 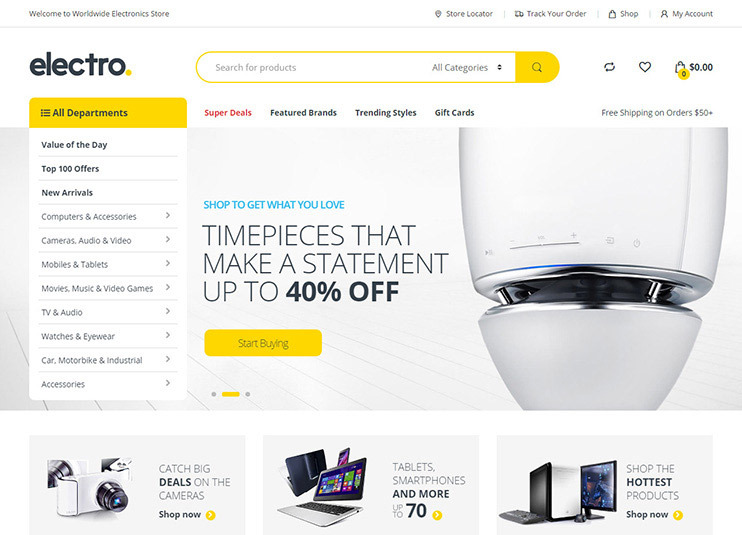 The StartIT theme from the home of the Select themes is a multipurpose theme that lets you shape the website of your imagination into reality with the easy customization options and modern looks. StartIT comes with built-in Visual composer and Layer Slider. Meaning the control is in the form of drag and drop. The theme is fully responsive to any device it is viewed on. StartIt comes with the .po and .mo files to allow the translation of theme. Therefore, with StartIT you can make your website in your own preferred language easily. StartIT is completely SEO friendly so that the website does not lag behind in SEO rankings. The theme is WooCommerce ready and can be used to set up online sales portal very easily.The blog and portfolio layout templates available in the theme lets you select how you want to present your site content to your users. 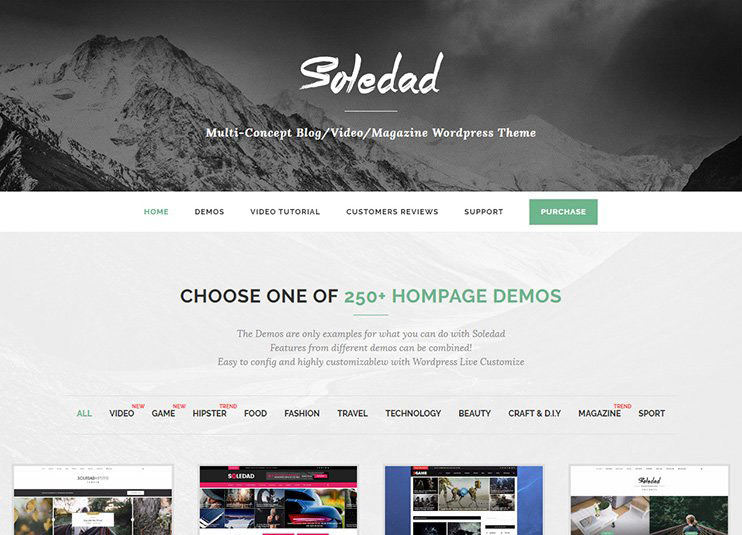 Soledad is the biggest blog and magazine theme of all time. With 200+ slider and blog layout combinations, It’s not at all needed to explain how flexible the theme is. If you are looking for an easy to manage blog and magazine theme, this one is worth a try. Not only for its attractive looks but for the multiple options it provides to change the look and features of the theme to fit the user’s imagination. 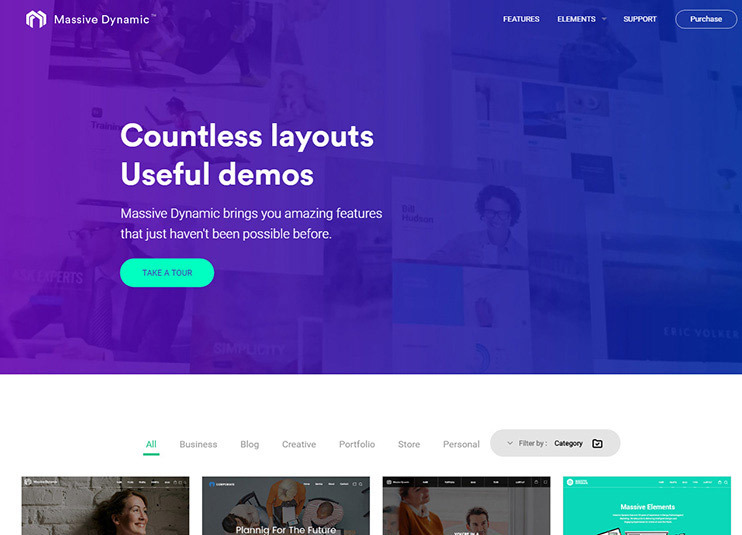 The theme already has 250+ demo homepages with variations to select from and the team promises to launch new with the time. Minor details like pre-formatted 404 and Under construction pages are already provided with the theme. Even the mega menu has two different styles to choose from. The theme is extremely easy to use and comes with the .po files to let you easily translate the theme into multiple languages. It also supports MailChimp and Contact form 7. The Search and Go theme is WooCommerce and WPML compatible. The theme allows front-end submission for the website users. This is a WordPress theme for Software companies and IT hubs. As the theme is specially designed for the niche, it makes creating websites for your IT company easier. Nanosoft comes with the best plugin integrations including the WP bakery, Visual composer page builder for drag and drop page building, revolution slider and advanced Custom fields. You can choose from the available demos or create designs of your own using the available features. 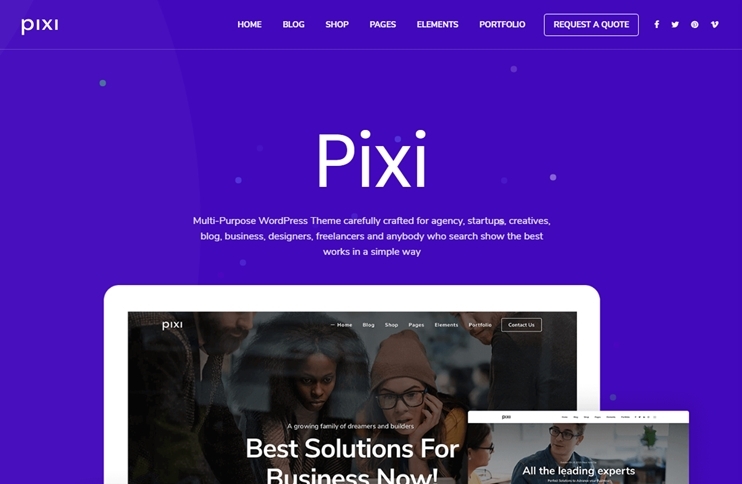 Pixi is an efficient multipurpose WordPress theme at a best price. The theme comes with different homepage designs to choose from. For easy page building, the pixi multipurpose theme comes with the WP Bakery Visual composer page builder. On the other hand, the theme comes with other vital features and theme options using which you can create a website of almost any kind. 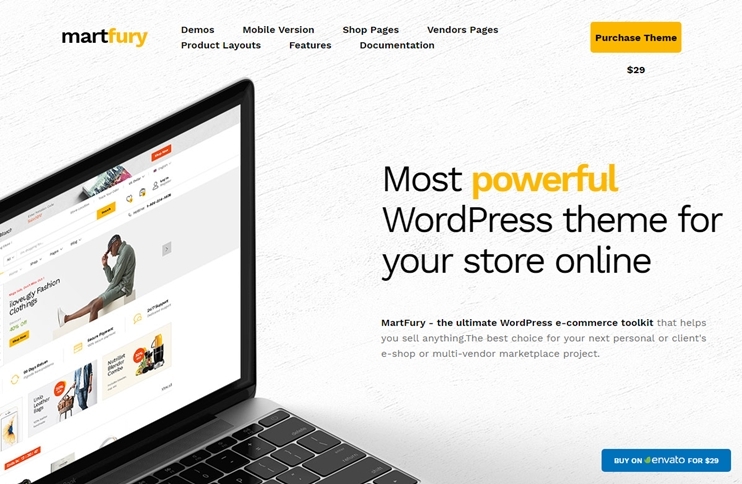 Matfury is a multipurpose eCommerce theme. This eCommerce theme from Themeforest supports creating multivendor online stores in minutes. Reco is a theme for news magazines, or blogs or digital freebies, mockups, etc. The theme is super fast and lightweight. With the inbuilt customization options, it is very easy to manage how your website built with the theme looks and works. This WordPress theme for freebies has a clean code and is SEO friendly. 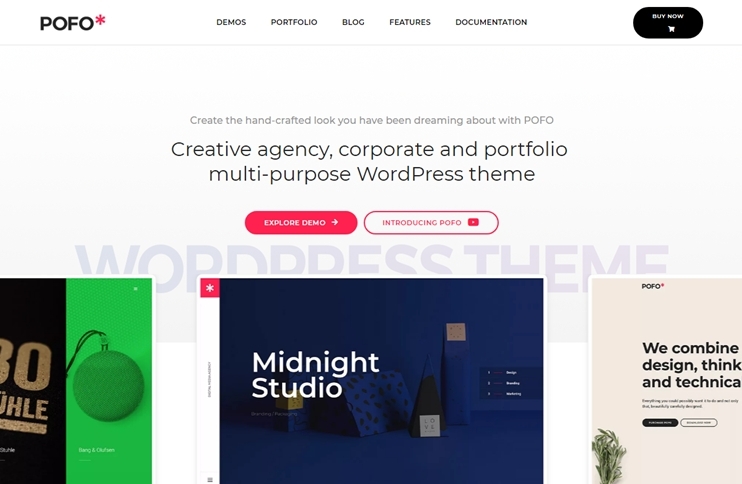 Pofo is a creative WordPress theme that you can use to create online portfolio website or blogs. Create beautiful designs on your own using the Visual Compose page builder by WP Bakery. Also, you can choose from the multiple demos available. Compatibility with WooCommerce allows you to create eCommerce websites with this theme. Grenda is a very creative theme with a fresh concept. The slider can deliver the complete message of your site and therefore, this theme focuses on that area to help you create a powerful wesbite. 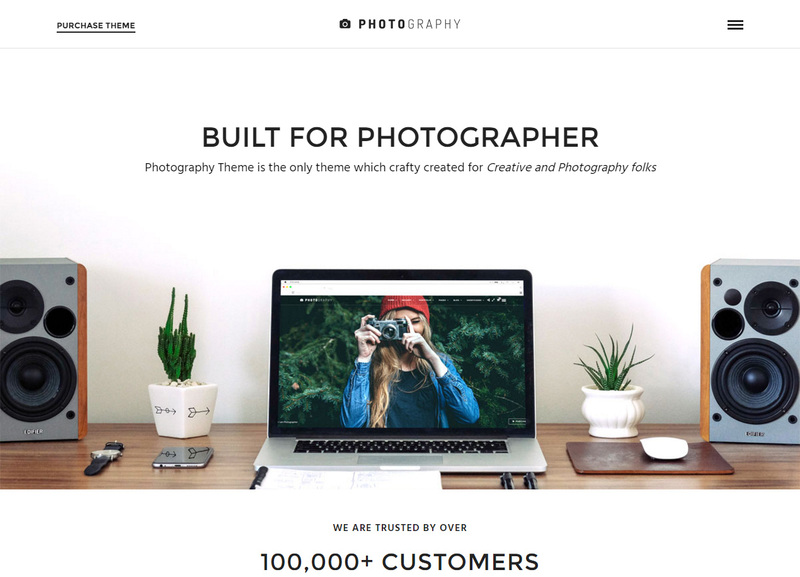 This theme is best for creatives and professionals to showcase their artsy. It is an easy to customize theme so the artists and professionals can save time while creating their site. The theme is speed optimized and comes with a page builder included. 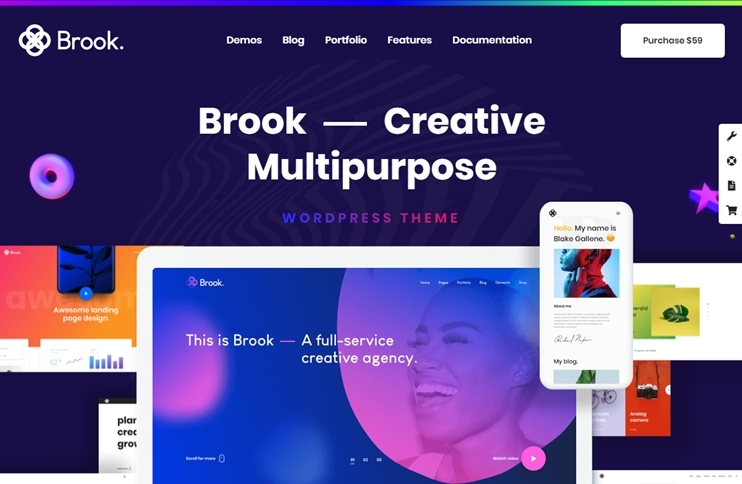 Brook is a multipurpose theme for creatives. It comes with more than 37 homepage designs to choose from. Moreover there are different layout options, header/footer styles, etc. This theme lets you choose from different blog elements like accordions, testimonials, team, pricing tables, gallery boxes, etc. Brook is SEO optimized and allows integration of WooCommerce for eCommerce facilities. This theme is really easy to use and can help you create website while saving time and efforts. As the name suggests, shopkeeper is a blockbuster e-commerce theme for creating exclusive online selling websites. Shopkeeper comes from the getbowtied theme company and has beautiful design with powerful functionalities. The shopkeeper does everything “A shopkeeper” does. It offers all the features to manage products, construct thoughtful catalogs, manage price, tax, sales and sell tangible and digital products online. For an online shop, displaying and describing the products properly, ultimately counts for the sales. Therefore, the shopkeeper has a design that does that for you. Shopkeeper provides you with ample pre-designed page layouts, header styles, portfolio templates and sliders. The theme has a responsive design so that the buyers can access your shop through any device. The theme is completely customizable to the requirements of your shop and all these customizations are easy to implement. This is a Listable Directory theme from the Pixel Grade. The theme is designed to offer its owner the opportunity to create and manage a Directory website. The theme is for you if you want to create a friendly local or global directory website and use it for making money online. The theme has features through which you can charge your users for updating or accessing the data from your site. Listable comes with the most basic features inbuilt. For extra functionalities, you can install the available plugins. So, manage the website with only the features that you need and not bothering with the unnecessary features. You can customize the theme as and when required to fit your necessity. The look of the theme can be controlled using the easy layout control tools. LISTABLE supports various page builders including the famous Visual composer to make it easier to build the site. The Photography theme is designed specially to showcase your photo galleries, photo blogs and picture portfolios. The theme is a best choice for a photographer who desires to showcase his photos using a simple yet elegant website. Allow your clients to create their own account, Login and post their own galleries to display on your website. This theme too comes with a drag and drop content builder that provides you a very easy way to shape your creativity into reality. The Live customizer will show you the changes made in the theme instantly without the wait times. 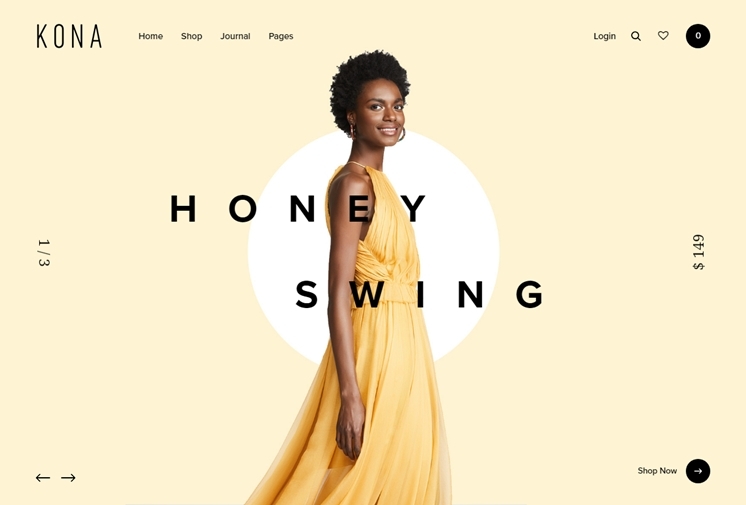 The theme has 8 menu styles you can choose from, and much more similar options and choices to make your website look exactly like you want it to. The theme is responsive, WooCommerce compatible and SEO friendly and is the best choice for the photographers with a passion for showcasing their photography traits in the best possible manner. 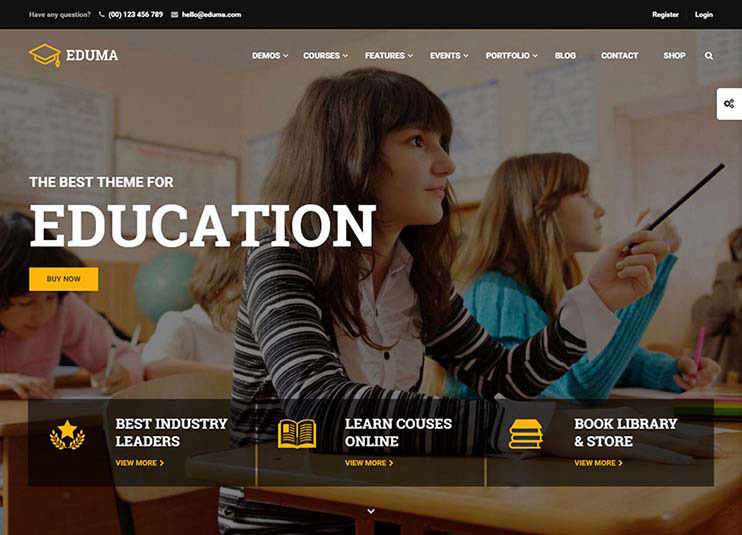 The Education theme is designed for educational institutes, online courses, schools, collages and other academic institutes to have their websites. The theme has 9+ demos to select from and set a starting point with the dummy data. The theme has built-in LMS plugin. 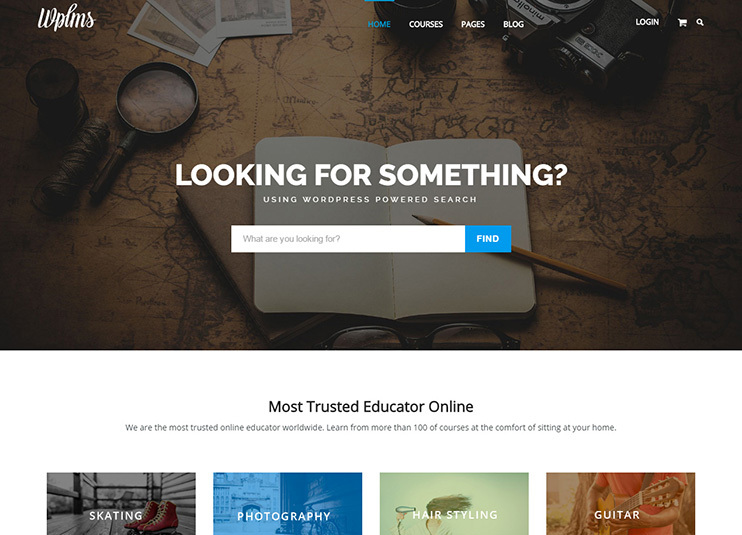 The plugin makes it very easy to create and manage an educational website. Drag & Drop Curriculum Manager allows to manage various sections with drag and drop, with Drag & Drop course builder you can create and manage courses that you can offer online through the website. The Theme offers the facility to sell the courses online through payment gateways and with or without WooCommerce integration. The theme allows you to create multi-lingual site with WPML compatibility and RTL support for creating sites in Arabic or Hebrew languages. 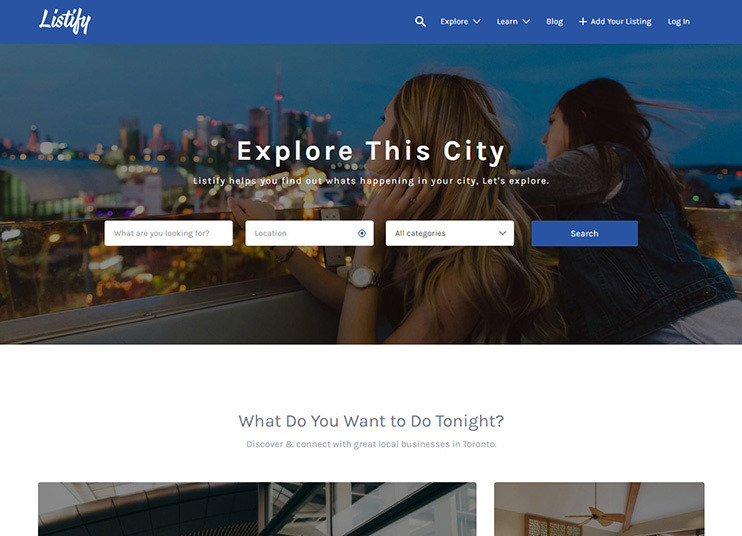 Real estate is the number one Real Estate theme on ThemeForest by the Inspiry Themes. The theme is for you if you want to start a real estate dealing website and make money online. The theme has a real estate search filter that allows the visitors of the site to key in their requirements based on which search is performed. This search panel is customizable and the available options can be changed according to the requirements. The results are most relevant.The Real homes theme, being specifically designed for real estate website comes with design, features and functions related to the subject. The theme has the facility to show the property listed on the website to show on the maps with the map markers. 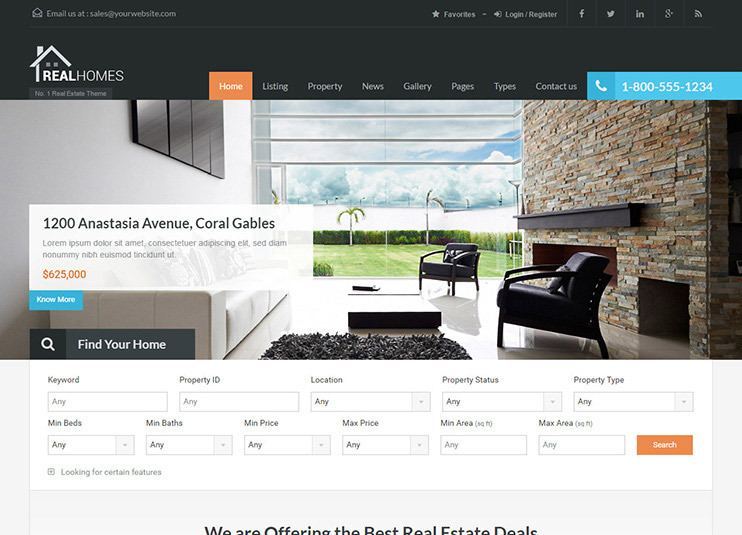 Real Homes contains all the features required for a real estate website. It allows front end submission of property and the property presentation in the clean, and modern way. The theme allows the insertion of the demo data with just one click so that you can get an idea based on how existing data is managed. It is WooCommerce ready. Real Homes can be used to create a local property website using the localization options such as RTL and WMPL compatibility. WPLMS is one of the best learning Management system for WordPress. It can be used for online course management and an educational portal for the students and the instructors where they can sell the course online. The theme already has 6 demo designs to start with and supports child themes for more customization options.The theme has unique dashboards for the instructors as well as the Students. WPLMS course has the front end course design module. The theme has the course certification facility to award facility to the students who complete the online course. It also comes with the assignment facility that allows the tutors to assign assignment and then the users can complete it. WPLMS has widgets and Admin panel that makes it easier to manage the educational website. It is WooCommerce compatible, bbPress and BuddyPress compatible. Brooklyn is one of the best themes from United themes. The 16 demos make it easier to get started with the website development. The theme has a very strong framed admin panel to empower the admin with all the possibility to make changes in the theme structure and design. Brooklyn is completely multipurpose and translation ready. Brooklyn offers a facility for pricing management and portfolio management. The theme can be easily tweaked and made to work the way you want. Brooklyn has the potential to get transformed into a website of any subject you want. An Ultimately multipurpose theme, the theme has unlimited opportunities for you to transform your imagination into reality. The theme is WPML compatible, and translation ready. It is good looking theme, with good features and very easy to use. Themeforest has this theme in top seller list for a long time. 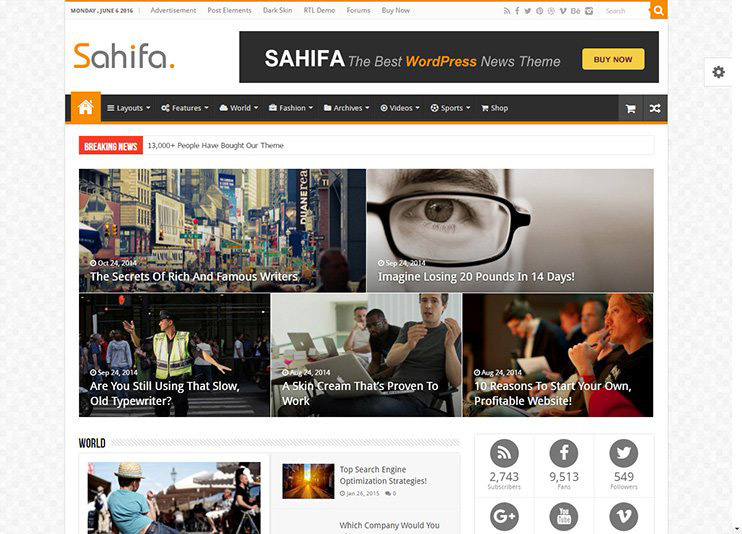 Sahifa is the Newspaper theme. Newspaper websites created using the Sahifa theme are responsive and translation-ready making it one of the best themes for RTL language blogs and news websites. Sahifa is WooCommerce compatible and lets you set a shop along with the newspaper site.The newspaper site can have a social counter widget to show the viewers how famous the article is. The theme is bbPress and BuddyPress compatible. To customize the theme you can have the page builder that makes it possible to change the format according to requirements. The page templates and widgets available with the theme allows to change the page and make more and more relevant. Besides these, there are many more theme options to choose layouts, menus, Sliders, and shortcodes to manage the theme functionality. 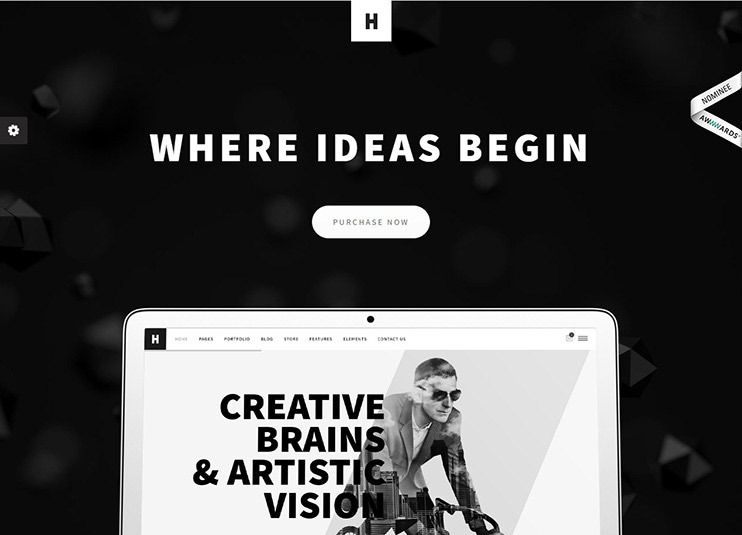 The theme has more than 10 header styles, 42 pre-built pages, 14 portfolio styles, 10 blog styles,6 types of creative navigation and icons set to choose from. Combine different styles and create a new layout on the go. The admin panel of the theme is very powerful and allows the users to control everything they see on the screen. The theme has all the features that make it worth a try. It is a WooCommerce compatible theme, SEO optimized theme. The theme also offers compatibility with bbPress and BuddyPress support, and also Yoast SEO plugin. 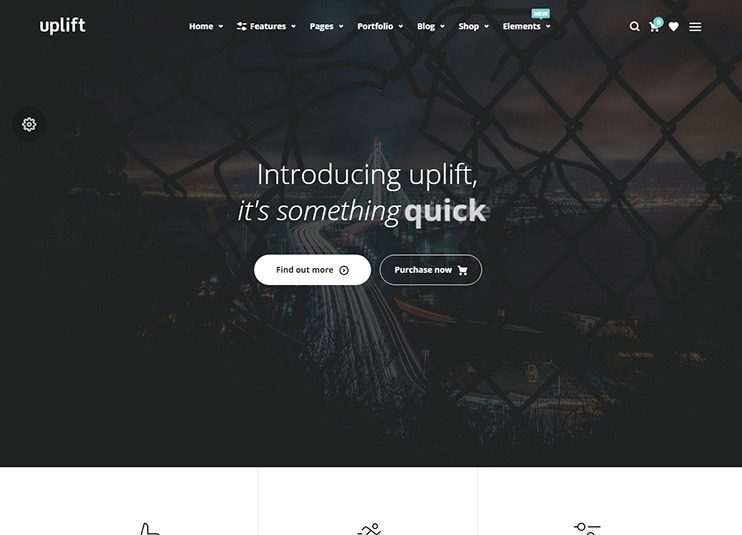 The Uplift Multipurpose theme allows users to create a website for almost any topic. The theme can be used for various purposes and is very easy to use with the visual composer. 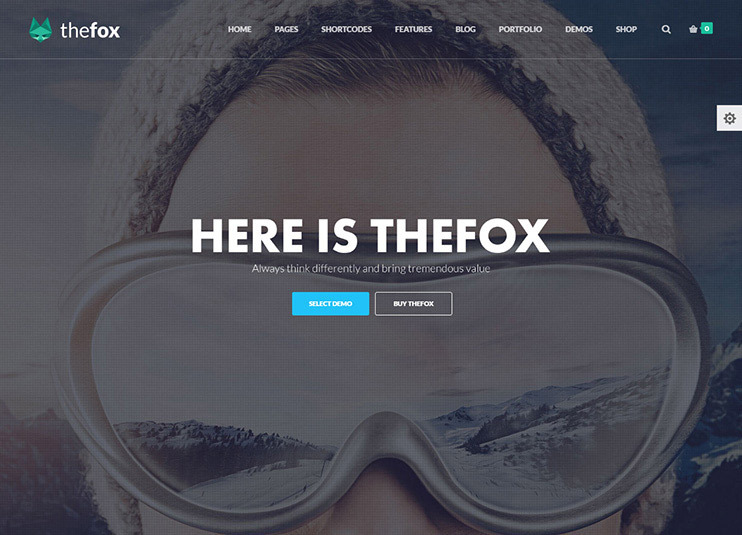 TheFox from tranmautritam, is yet another WordPress theme for multiple purposes. The theme has many options to customize it the way you want. The theme has more than 250 settings, amazing customization options, and drag and drop page builder to let the users setup their own design for the page. TheFox has more than 30 home pages to set the design and setup the site very easily. TheFox is best suited for onepagers, and has a set of shortcodes to assist the site setup. The color, background, fonts, sidebars and and animations and many other options lets you set the appearance according to the type of website. TheFox is WPML compatible, and WooCommerce compatible. The theme is constructed according to the SEO standards. 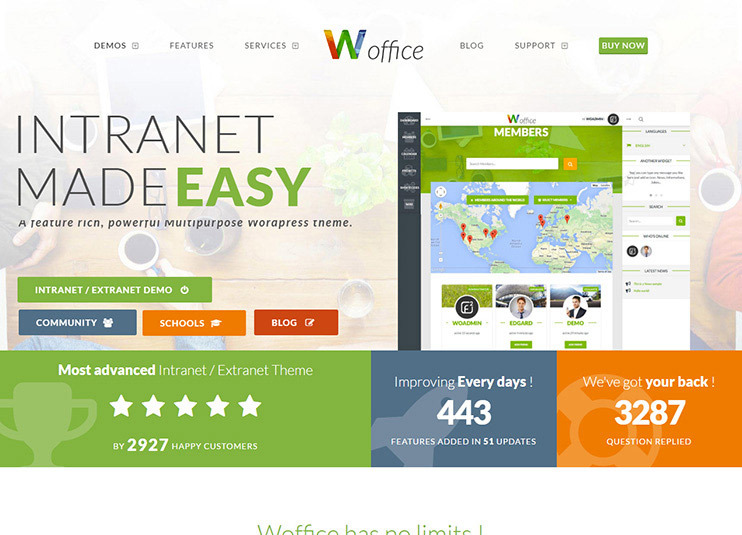 The Woffice theme for intranet is multipurpose and responsive. The theme is constructed as a web application. With the admin panel, there are numerous possibilities to tweak the theme. The theme has an inbuilt page builder that makes it possible to change every element of the theme. The theme is RTL compatible and Translation ready. It is already available in 10 languages and allows more translations. WPML compatibility makes it possible to translate the theme into multiple languages. If you desire to look into the code files of the theme, the code is clean and well-commented wherever necessary. The free extensions extend the functionality of the theme. Themeforest really has unique kind of themes to offer. Isn’t it.? Unicon comes with inbuilt drag and drop page builder to let the admin to manage the theme appearance. You can select from the wide or boxed layout of the theme. The intuitive icons and collection of colors, sidebar , backgrounds and header designs. The theme is a multipurpose theme that can be used to create a website of your own choice. With the powerful admin panel, it is possible to change the overall look of the theme. The theme is WooCommerce compatible, to allow the users to set up an online shop with it. The theme has options for the blog and the portfolio page layouts to select from. Unicon is WPML compatible, and comes with .po and .mo files for translation. 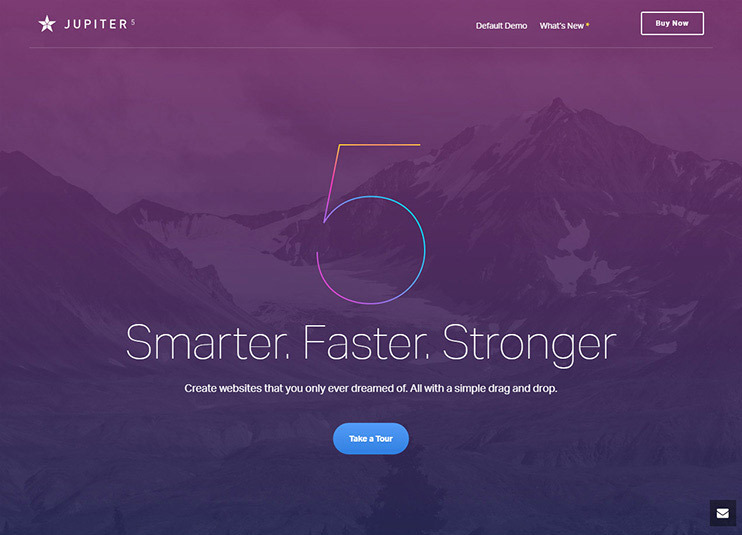 With beautiful animations and 40+ pre-configured page layouts. Therefore, this theme is easy to use and extensible. Jobify is the theme from Astoundify, specifically designed for Job portal. 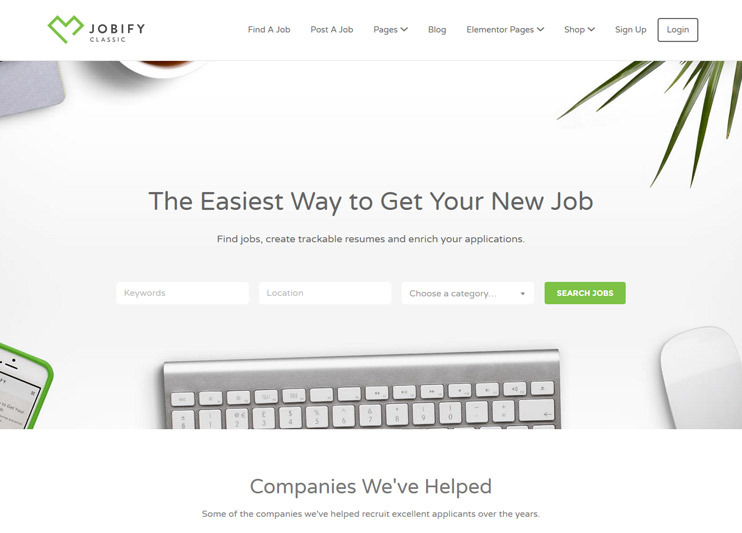 With the Jobify theme, you can create a professional looking jobs website. All the basic features required with the Jobs site, are available with the Jobify theme. It allows jobs as well as resume submission as the most basic facility. Jobify has number of pre-designed page templates to select from. The WP job manager plugin will help you manage the jobs related functionalities in your website. The theme has powerful admin features. With these features, setting up the website becomes much easier. Jobify comes with an XML sample content for the ease in setting up the website. With this sample data, you can have the basic idea of how the things work with the theme. The theme has compatibility with the WooCommerce paid listings, Resume Manager plugin, Gravity forms and Ninja Forms. The best jobs theme at ThemeForest. The electro theme is for online electronics shop. The theme is Visual composer ready. The electro theme comes with 4 predefined headers, 9 predefined color schemes and three homepage choices. There are 9 pre-built page layouts with the theme. The theme uses WooCommerce facilities to provide the sales functions in website. The Visual composer compatibility of the theme makes it possible for the theme user to drag and drop the components to create a design of their own. The theme can be used for an online electronic shop to display electric instruments and gadgets. Electro is derived by a clean and easy to understand the code and therefore it is easy for the developers to extend the features of the theme by changing the code files. 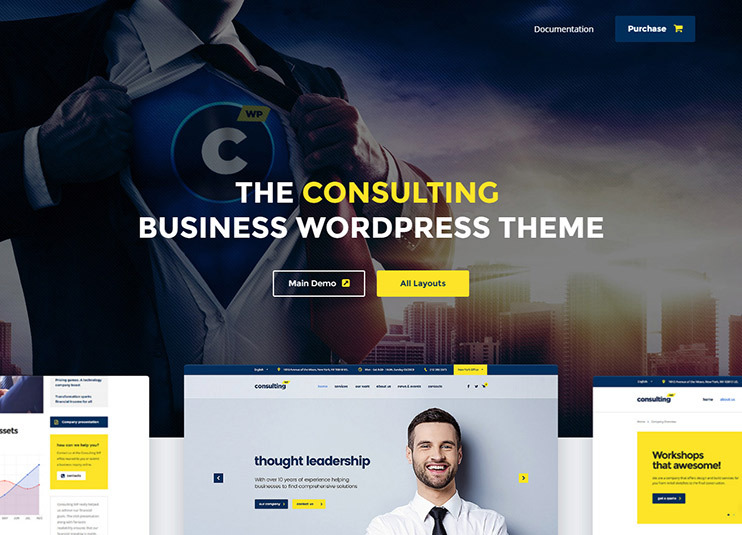 XTRA theme form Codevz is the Bestselling WordPress Theme at Envato ThemeForest. XTRA is beautiful with a number of greate features. The customers are happy with the theme and the number of happy customers keeps growing every day. XTRA is a multipurpose theme with distinct features. It brings with itself, unlimited options to shape your ideas into actual site you want, with less efforts. With XTRA, you can fulfil your design goals and make them true without touching the code. There are approx 50 demos for the theme, each representing XTRA with a different idea. The demos are about Corporate business, Creative agency, fashion, Various profession, and much more. 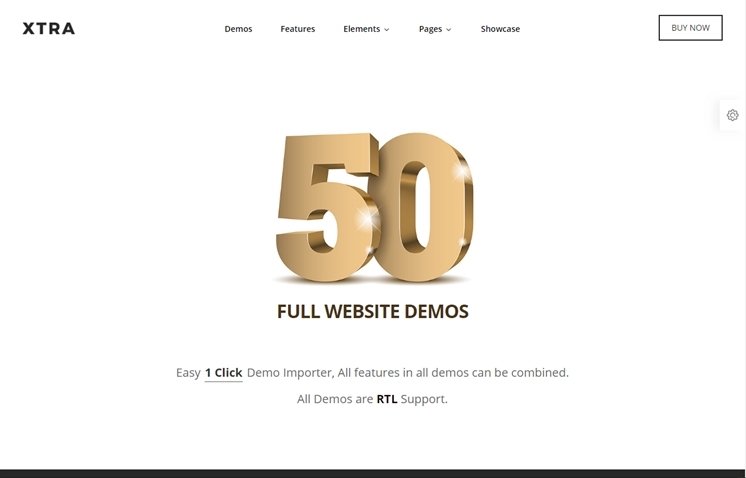 These demos can be customized using the drag & drop feature and 100+ theme options. The options available at the back end are intuitive, simple and plenty which provides full control on your website. No code changes are required. Moreover, it is Woo Commerce and BuddyPress compatible and allows integration of the most popular WordPress plugins available in the market. 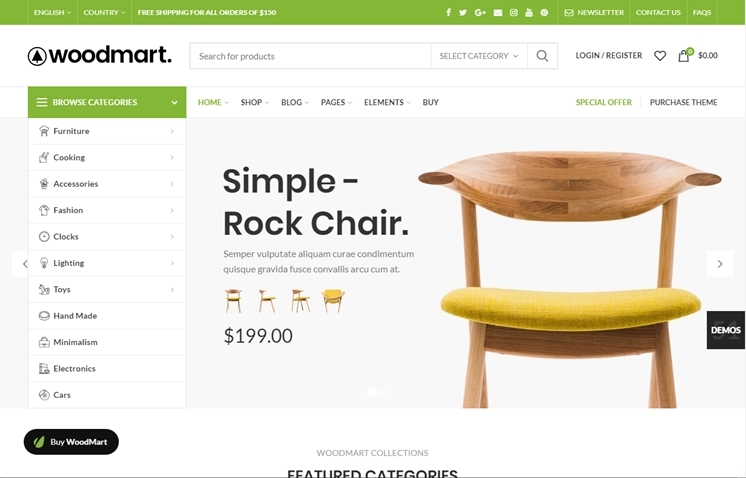 WoodMart is designed to build supreme WooCommerce online store. It used AJAX tech to provide faster and powerful user experience. No need for extra plugin to add power it is smartly coded. WoodMart, if fully customizable and completely responsive with highest possible pixel density. The theme is coded certain way to make it easy for google and big search engine to find the right stuff to rank the page. It comes with more then 35 demos to choose from. Each demo furniture, fashion, clothing, electronics, watches, glasses, sport, shoes, jewellery, cosmetics and a lot of others. Our theme is also suitable for corporate and magazine websites and you can use it without WooCommerce. There are unlimited posibilitis to use this stunning theme. 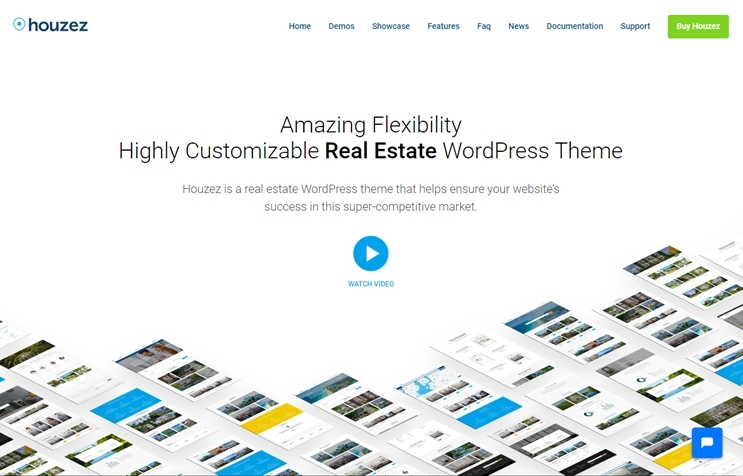 Houzez is wordwide popular theme for realestate agents and comapnied. With flexible, professional design and powerful featuers from the author favethemes. The theme is fully translated in 20 languages and GDPR compatible. Houzez is a IDX compatible. Theme with distinct beautiful features and unlimited options to shape your ideas into actual site you have desired. With Houzez, you can craete featuredrich site without touching the code. It comes withx 16 pre-builded demos to get ideas on what you can do with the Houzez, each demo representing the best way to build your RealEstate website with a different idea. Everything you need is at your fingertips with 30+ options tabs to control your site. The advance search provide the site visitors to find exact property by enabling them to make use of various settings to establish their own criteria. No code changes are required. Zeen the next generation magazine theme is the Bestselling WordPress Theme at Envato ThemeForest. Zeen is power to create a beautiful, highly unique blog, magazine, newspaper site. with fully blown WooCommerce shop. The theme is impressively intuitive, flexible and customisable. Zeen’s flexibility, beautiful design, and small learning curve make it best suitable for sites of any size from the smallest to the Biggest. 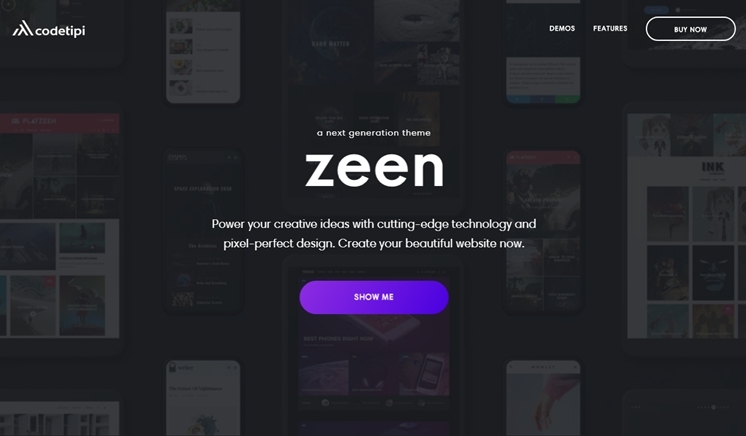 Zeen is the unique WordPress theme for any blog, magazine, , newspaper, personal photo-stories, diary, full-blown WooCommerce shops and for affiliate sites. It comes with world exclusive tipi builder allows you to turn all your desired ideas into real layouts that can then be used on your homepage, tag pages, category pages, and on custom taxonomies pages. Kona is modern clean eClommerce WordPRess theme from SpabRice is the Bestselling WordPress Theme at Envato ThemeForest. It provides unique features and tools that makes an eCommerce website more beautiful. Kona makes shopping for your client easy and smooth. Kona built with smooth and excellent user experienceThe options available to create your site with less efforts. No coding required to build complete site. The options available at the back end to setup your website. No code changes are required. Moreover, it is Visual Composer compatible and allows you to make changes in layout with drage and drop page builder. 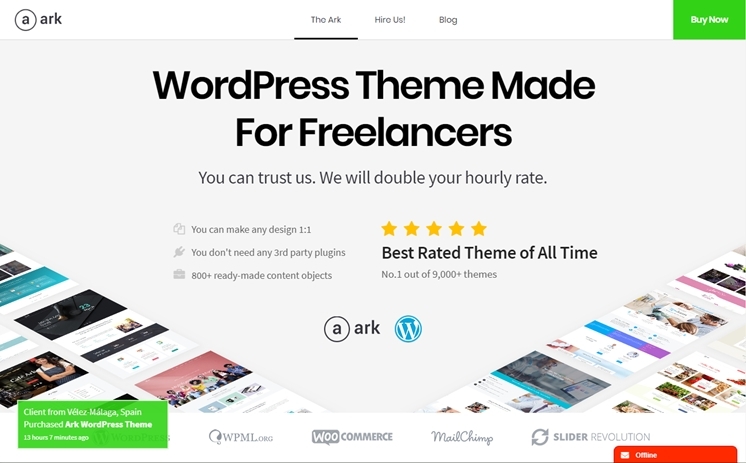 The Ark theme from FRESHFACE is the number 1 best rated, topselling WordPress Theme at Envato ThemeForest. The theme can make any type of site design and saves time with many buil-in tools. The Ark has limitless options to create site. This is first ever theme created for freelancer. It brings with itself, unlimited options to shape your ideas into actual site you want, with less efforts. It comes with 300+ pre-built pages which you can easily import and modify with one click installer. With The Ark, you can achive your design goals and create without touching the code. Various designing options available to create unique and attractived designs., The theme is Clean, Simple and beautiful which provides full control on how you want to create layout of your website. The Ark has achieved the best rated product of all time status on ThemeForest. 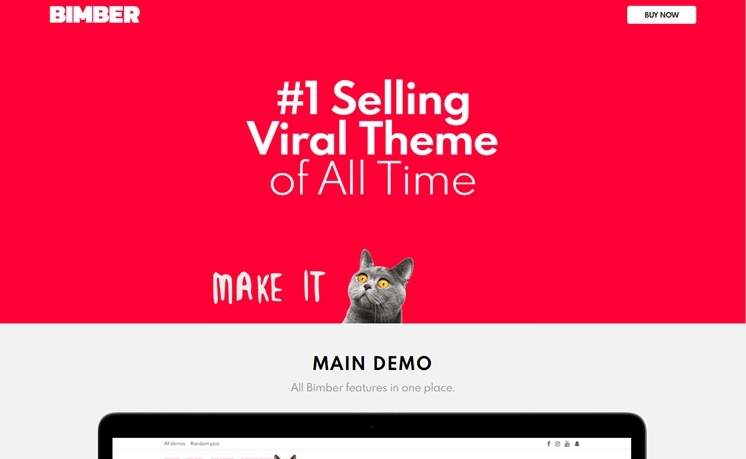 Bimber theme from bringthepixel is the Bestselling WordPress Theme at Envato ThemeForest. With 6500+ happy customers. This is most customizable viral theme on the market to create a magazine site you want. The theme comes with 15+ demos and provides off-canvas customization funtionality. The Bimber provide total control over single post page or archive page, you can change settings globally or per single post! Cutomize template, Show/Hide element you want and reorder them. Bimber is the highly customizable WordPress theme that allows you to modify various elements and customize every single site aspect so it looks and functions the way you want. Moreover, it is Woo Commerce and BuddyPress compatible and allows integration of the most popular WordPress plugins available in the market. 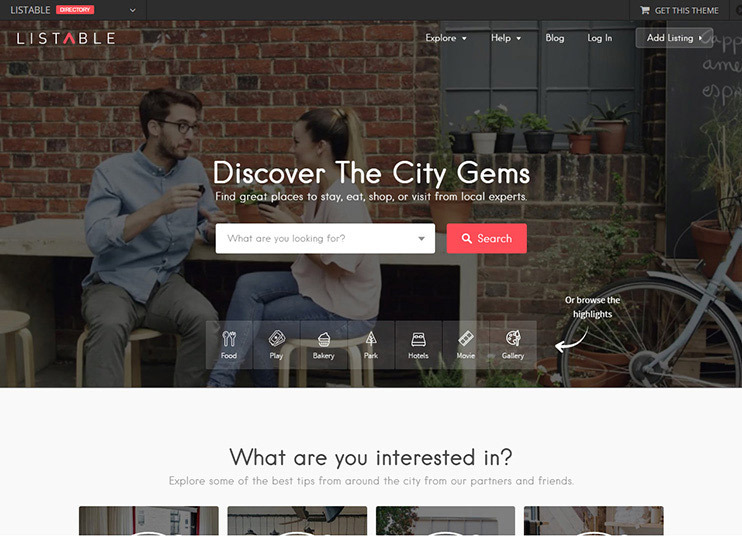 The Barberry theme from temasj is the popular WordPress Theme at Envato ThemeForest. The Barberry theme is suitable for all kind of shop like cloth, furniture, accessories, electronics, watches or any other.limitless options to create eCommerce site. The Barberry is modern WooCommerce theme with Full Ajax shop, Pagination, filter by size and color. The attractive design comes with varioud product page option. Custom cart, checkout and My account. The Ajax search enabled you to find prouduct in search with fast Ajaz search. 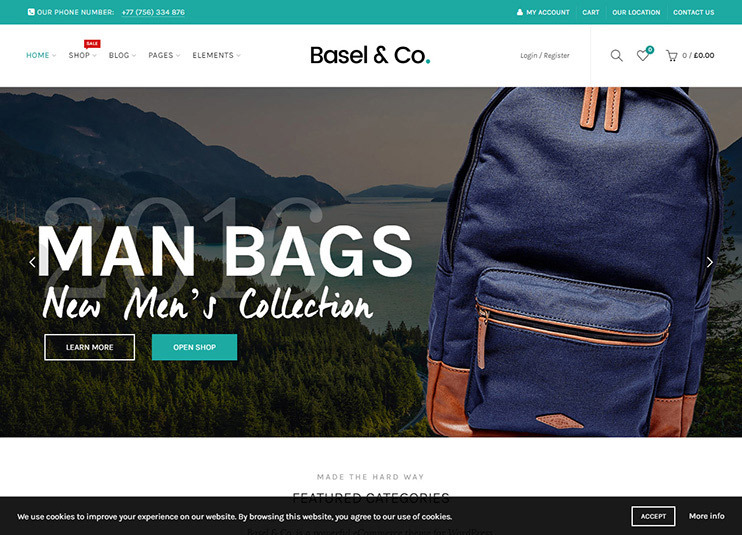 Basel lets you create an e-commerce website with Ajax responsive design. The drag and drop page builder lets the user create pages and layouts as per their imagination without much hassle and the need to touch the code. The theme comes with WooCommerce integration for the e-commerce facilities. It has 10 demo layouts to start with. The WooCommerce is a well accepted and famous e-commerce plugin trusted a lot by the WordPress users. Integration of WooCommerce guarantees a clear and smooth sales functionalities. The theme demos are category specific so that you can choose what you want to sell with the website and get started with the demo that suits you the best. The demo data can be inserted into the theme with just a click. The theme allows options to choose from header styles, page layouts, and colors. The themes compatibility with Visual Composer ensures that your Basel shop can be created with utmost ease and comfort. Zephyr is a multipurpose theme and is completely responsive and comes with a built in Visual composer to allow the ease of drag and drop editing. The theme code is SEO optimized to suit the SEO standards. Zephyr has the Admin panel, that is easy to use and has the options to manage almost all the elements of the theme. The background of the theme is decorated with the parallax effects. For the minor changes in the appearance of the theme, Zephyr comes with the Custom CSS editor to place your code that overwrites the code in the CSS files, without editing them individually. Moreover the theme is WooCommerce ready to start selling commodities right away. To create a website in your own language you can use the translation facility or the WPML plugin for multilingual translation. 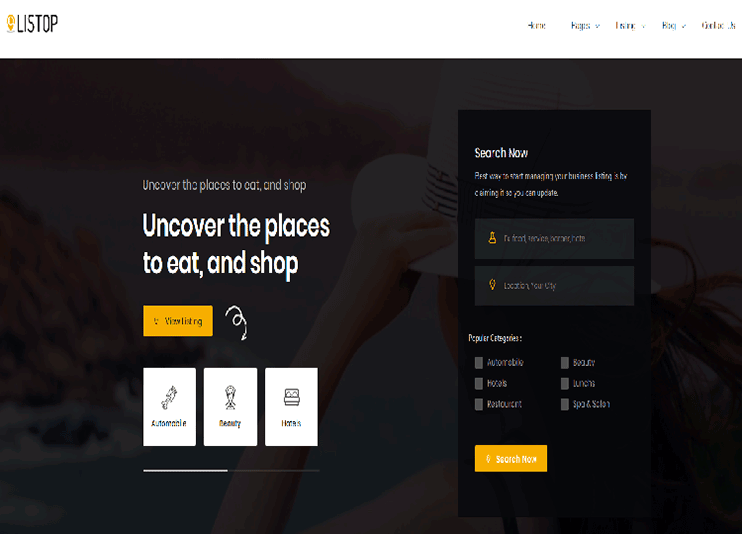 Search and go is a Directory theme from Elated- Themes. The theme does not require any extra plugin and all the features and functions are inbuilt. Search and go also has inbuilt paypal service, so that you can start making money with your Directory right away. The search and go theme has an advanced search facility that will deliver the site visitors instant and filtered results, increasing the site’s usability and enhancing the user experience.Search and go being a Directory theme comes with integrated google maps for displaying the listings. The theme has login and registration facilities to get the visitors registered. Search and go allows the directory owner the ease to manage the theme through the powerful back-end options. Above are some of the best WordPress themes available on ThemeForest. They are easy to use and highly customizable. Most of the themes won’t require code tweaking for customizing. Before buying any theme, you should have the requirements clearly defined in your mind. Define what features you’ll need and how you want your site to look. When you are sure of what you need, you can check the theme specifications to find the one that best fits your requirements. We hope this list helps you do that. Once you find the theme, download it and get started with your website today! Because there are around tens of thousands of WordPress themes and site templates that you can use for creating your WordPress website. So, to make it easier for you, we have compiled a list of Most Popular themes from ThemeForest. These themes are the best themes that you can use to create your website in 2018. You can just pick up the theme you like, customize it and make it work exactly the way you want. Ultimate Beaver Builder Addons Review – Is It Good or Bad? 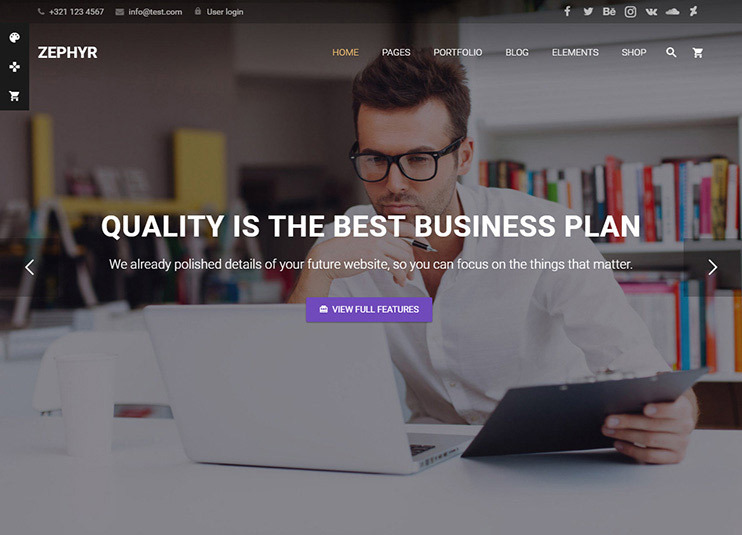 Divi Theme Review – How Good Is The Divi Theme / Divi Builder by Elegant Themes? Thanks for this nice collection of themes! I am new to this and looking to start up my first E-commerce site ( Garments and accessories ) with responsive, mobile friendly and most important in the French language. Can anyone please suggest me a theme which suits best for my requirements. Thanks for sharing this huge collection of Most Popular WordPress Themes. I really like many of them. Especially the X WordPress theme. it’s easy to customize and has a very clean code. X WordPress theme is one of the most popular themes. You can also check “Salient theme” and “Total theme” which is Multipurpose theme and have a clean code and easy to customize. An excellent collection of Most Popular WordPress themes. Every theme designed beautifully with awesome features. I am feeling excited to see BE theme in your collection. What is your opinion of Bridge theme for a Restaurant site? 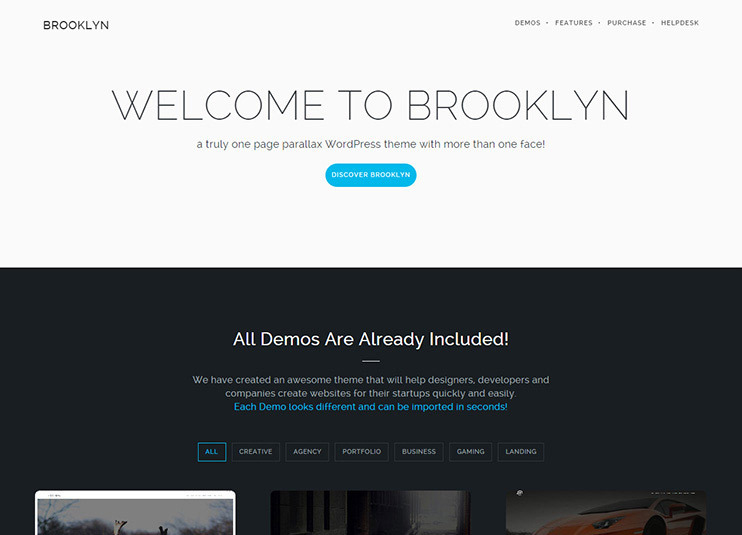 Bridge theme is a multipurpose theme with a huge collection of demo sites. You can use this theme in different ways. If you are looking for a Restaurant site you can also check its demo site for the restaurant (Bridge Modern Restaurant). It also has a huge collection of demo site with different business niche and each of theme is presented very beautifully. I recommended you to go with the Bridge theme. I’ve been really pleased with this huge collection. Thanks a lot.